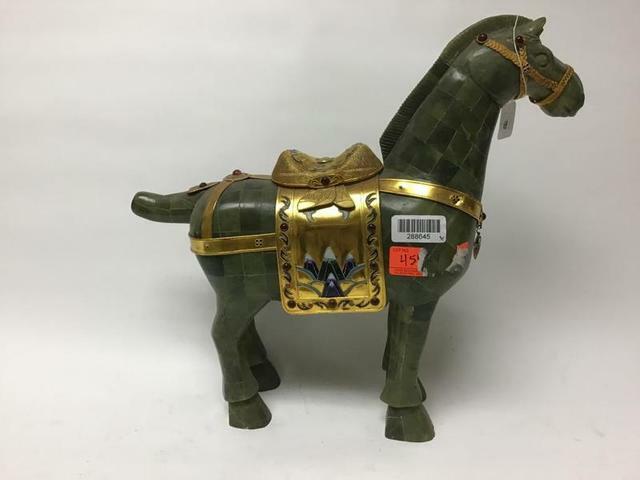 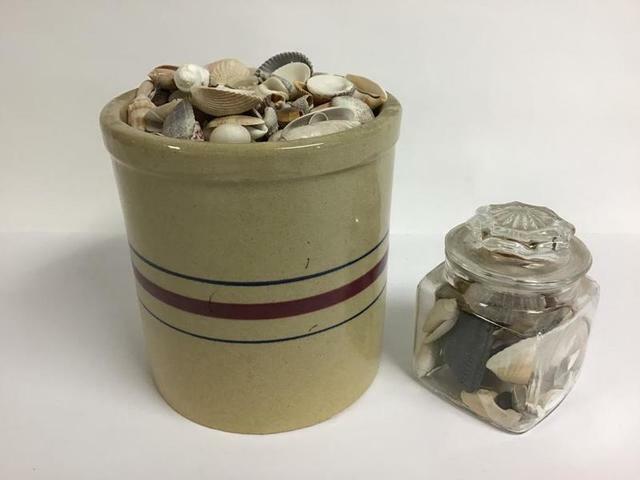 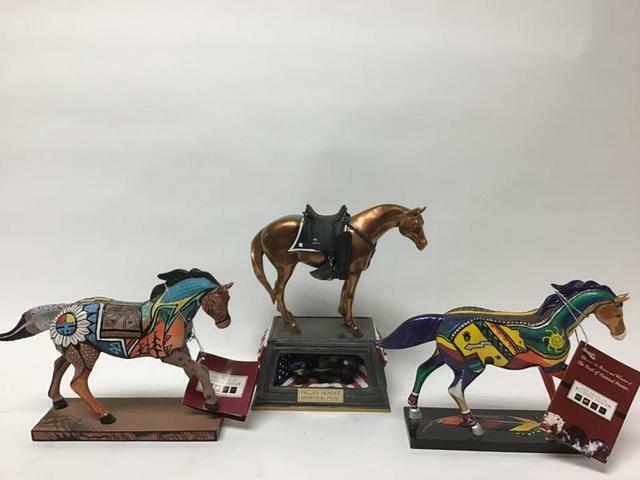 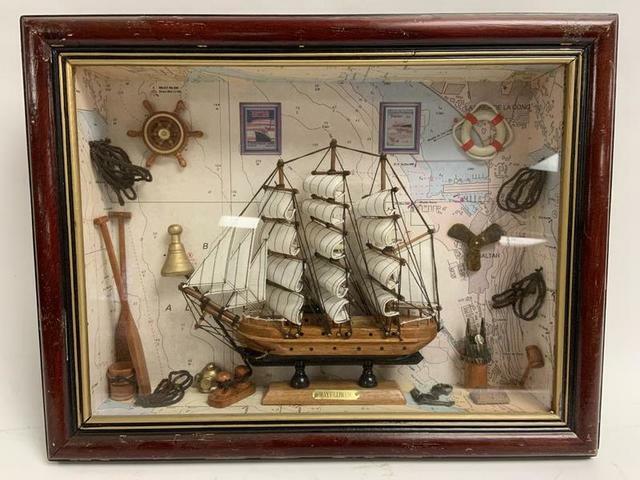 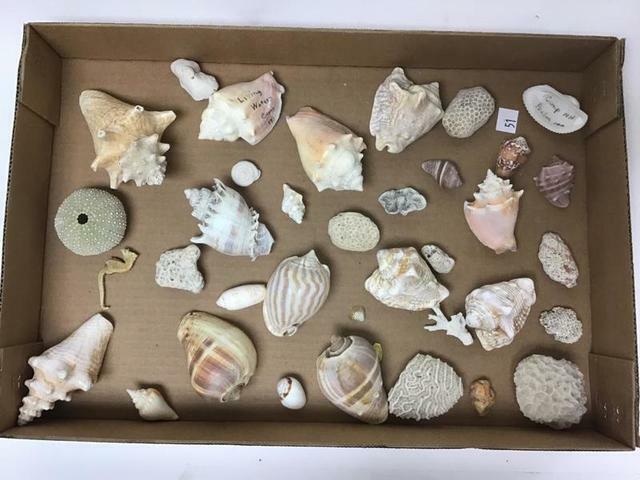 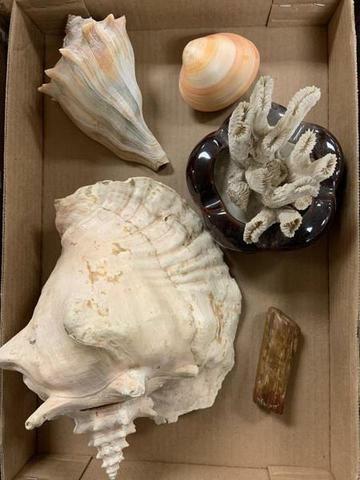 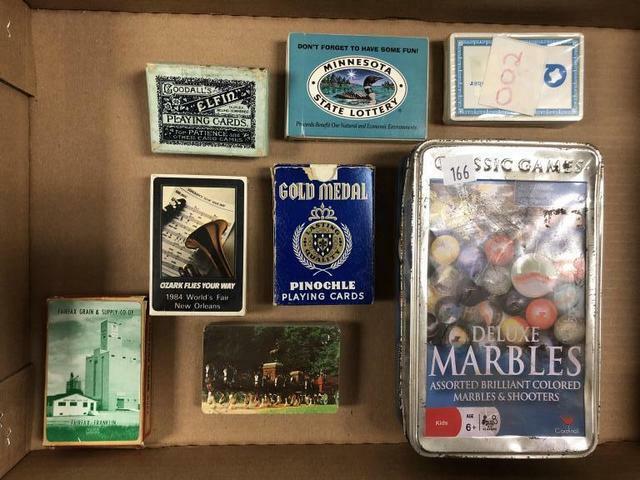 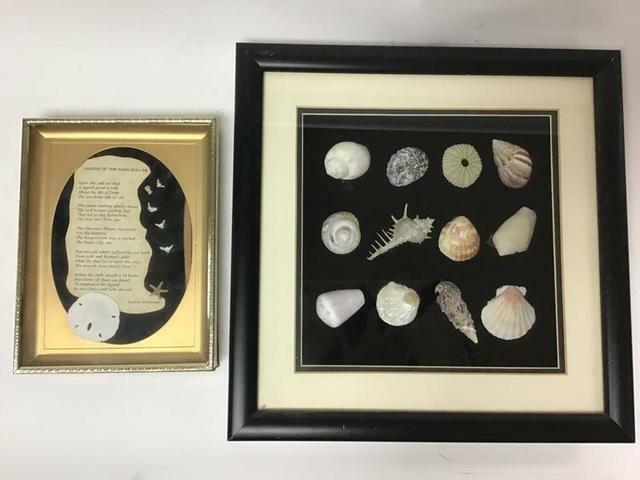 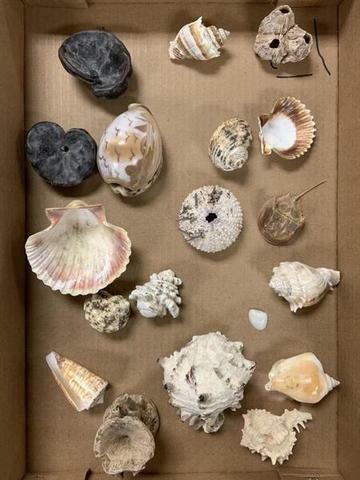 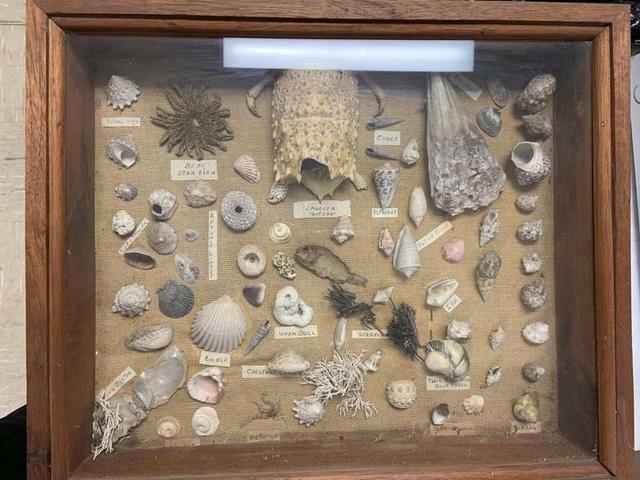 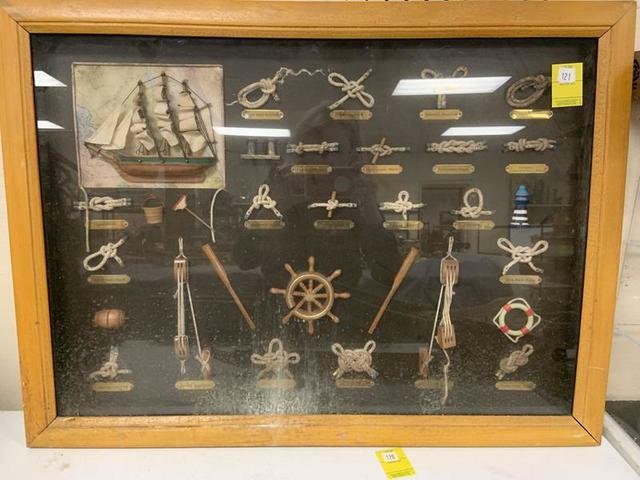 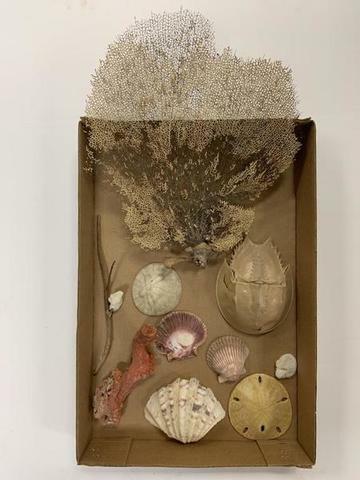 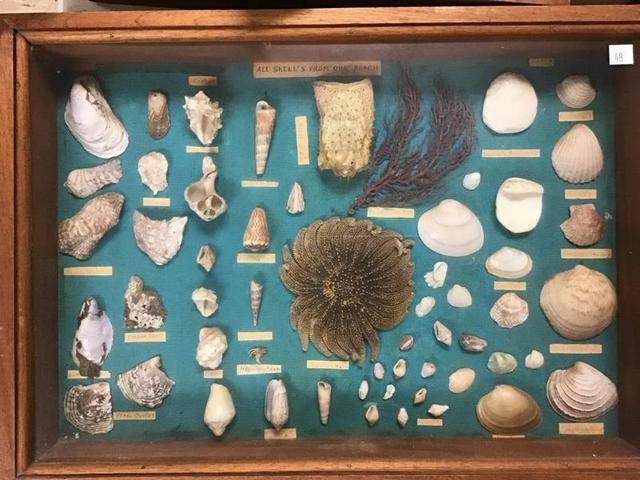 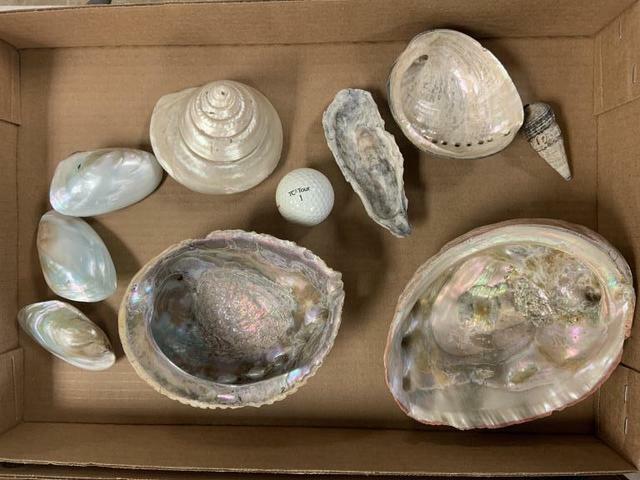 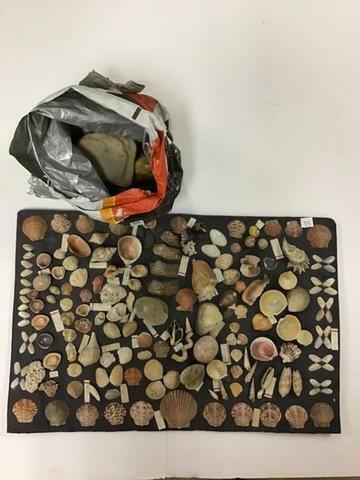 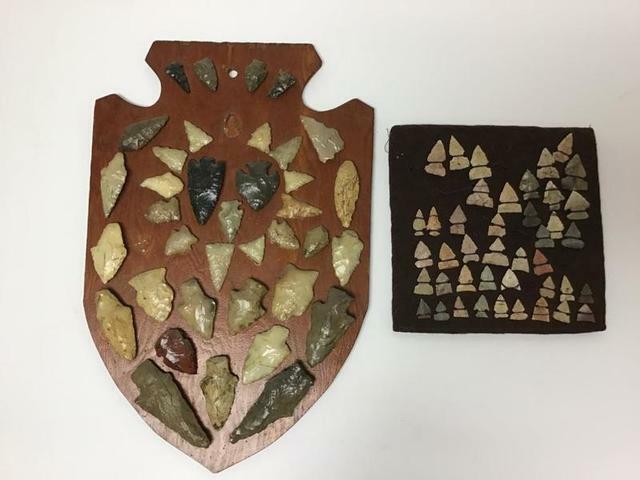 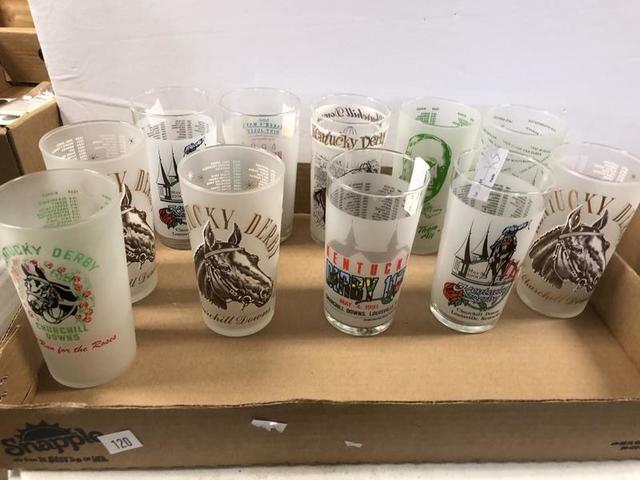 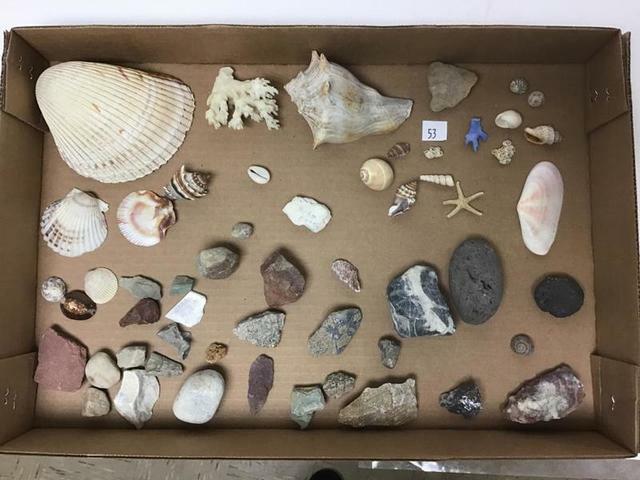 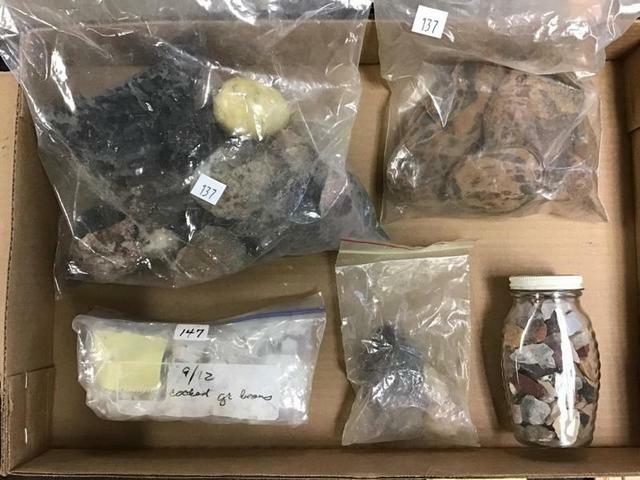 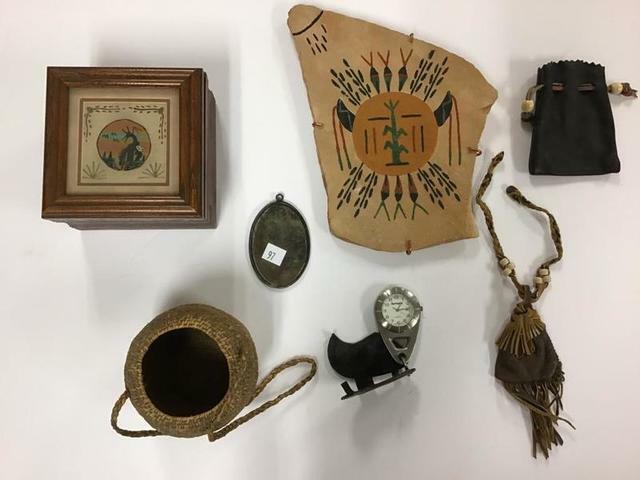 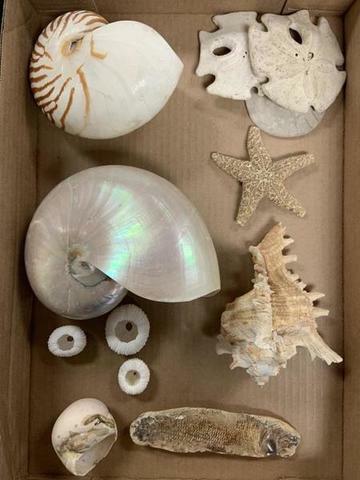 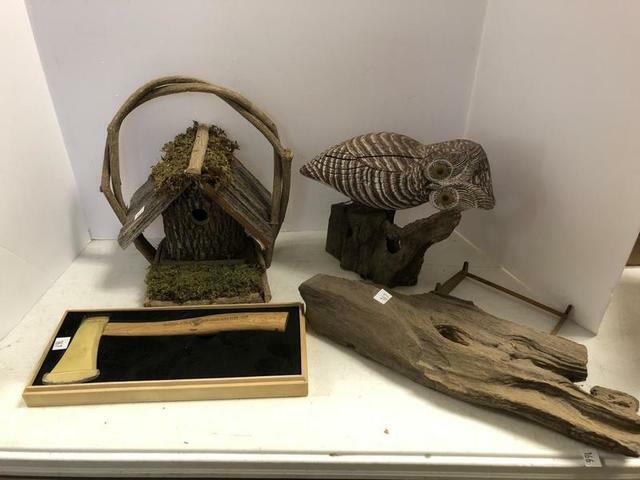 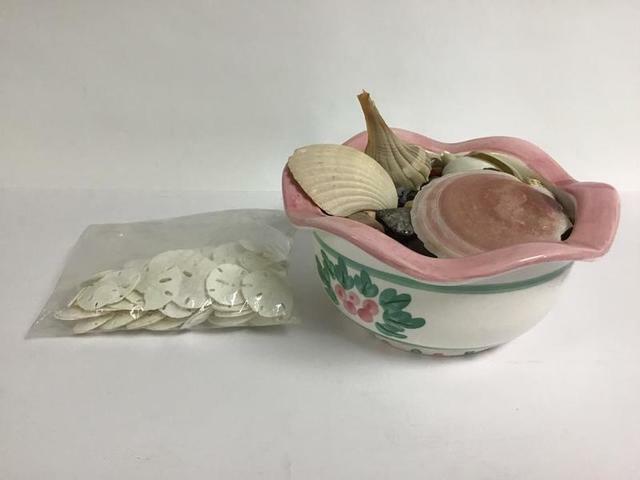 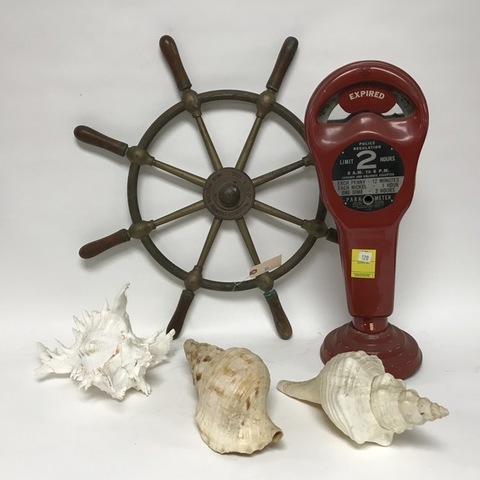 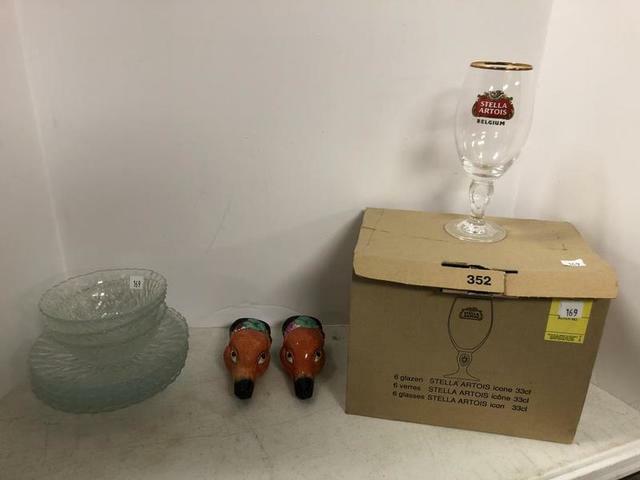 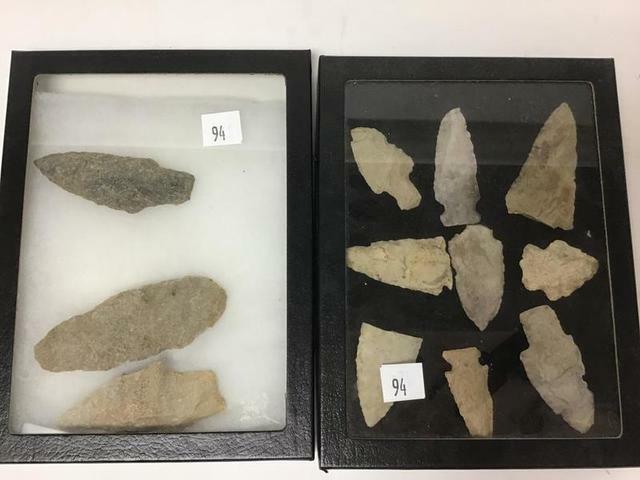 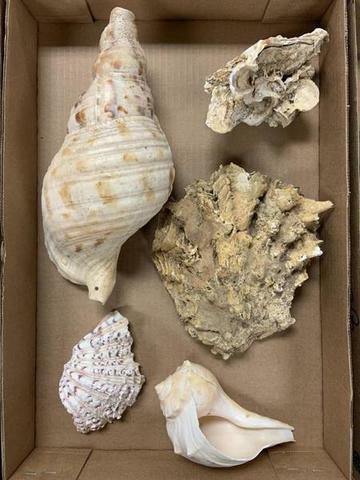 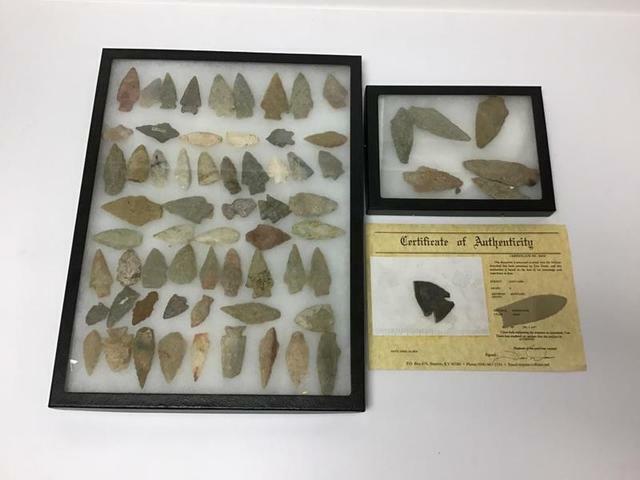 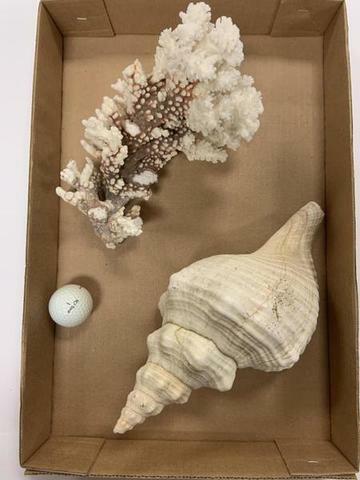 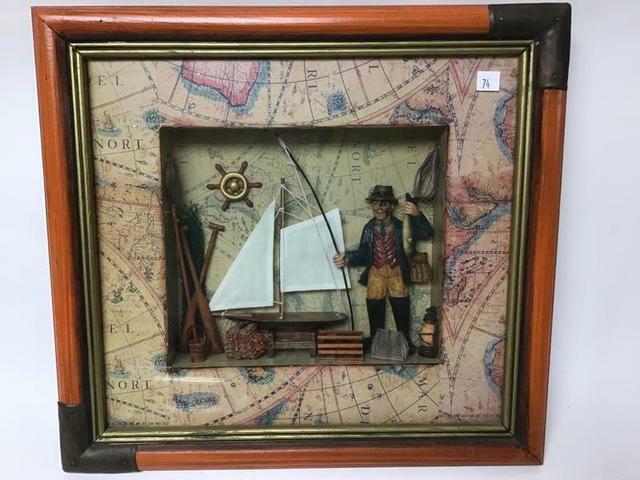 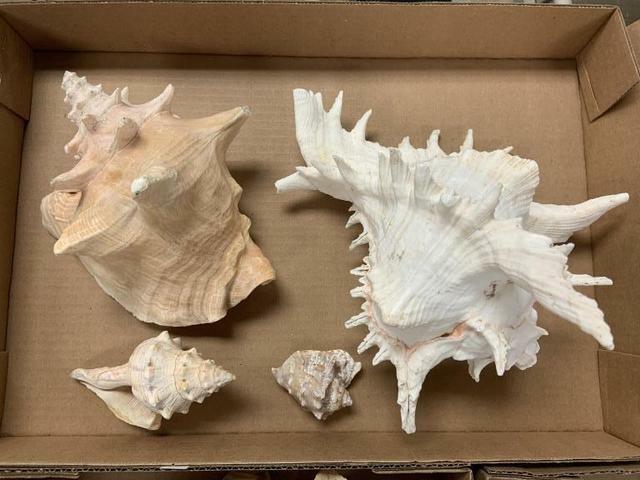 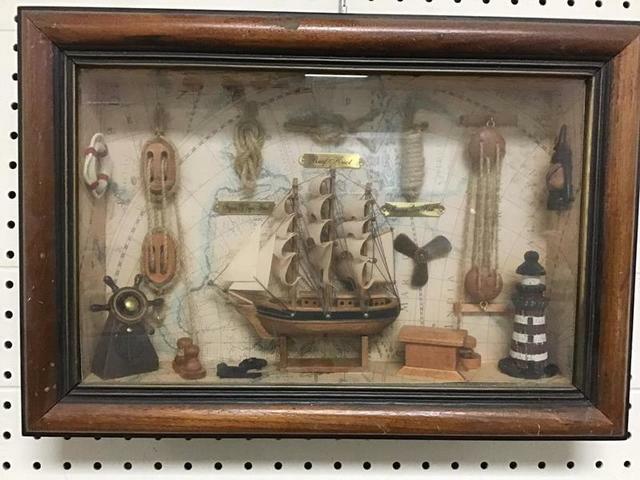 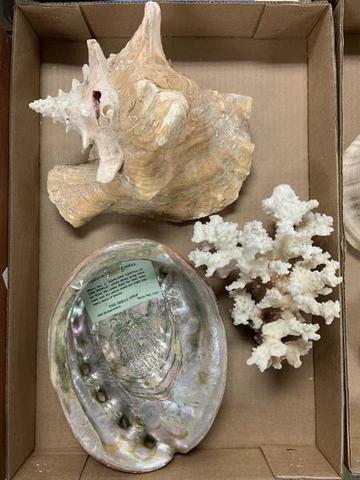 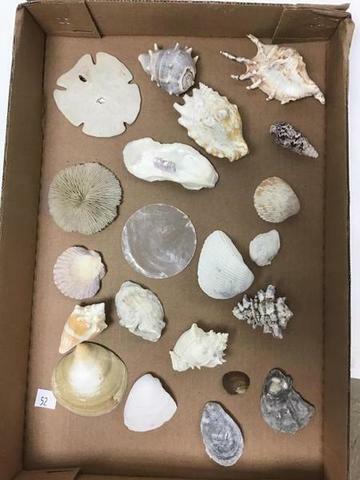 Nautical, Primitives, Geodes, Trail of Painted Ponies… Single Owner Collection of classic nautical items including model ships, early scuba diving helmet, brass ship’s wheel, framed maritime equipment and a curated collection of sea shells. 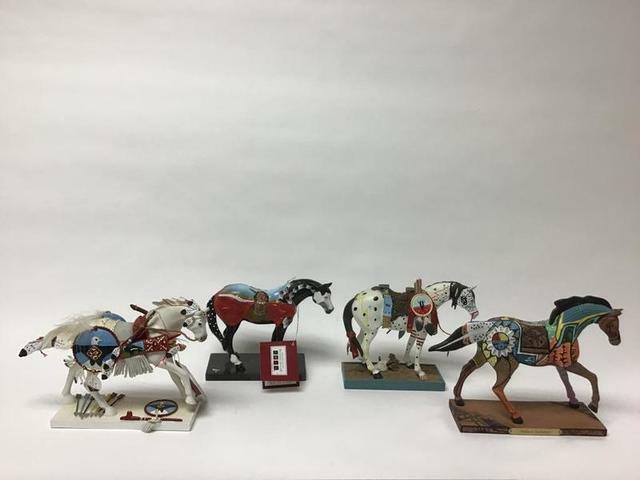 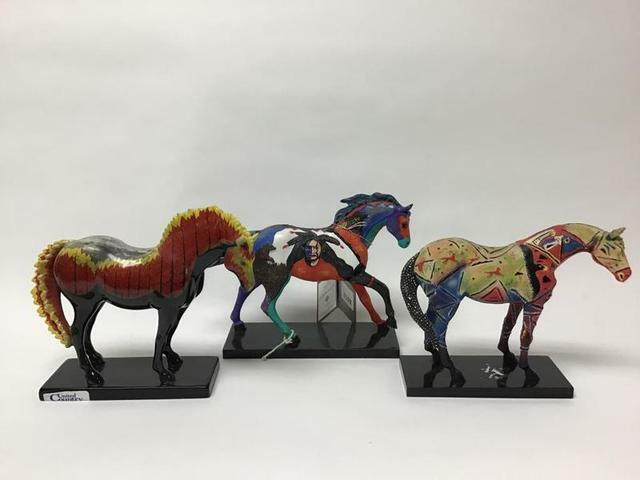 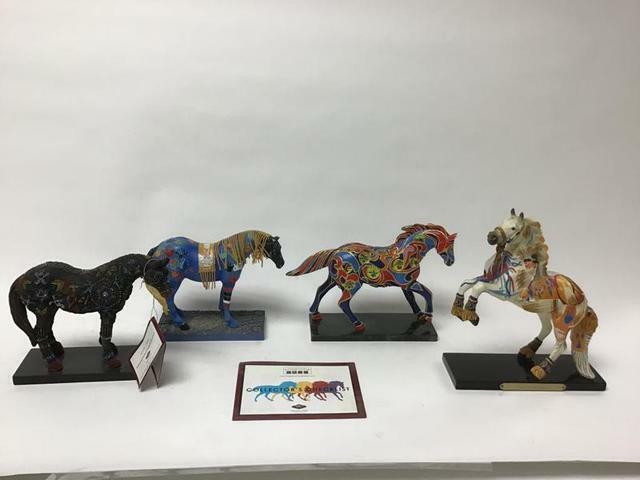 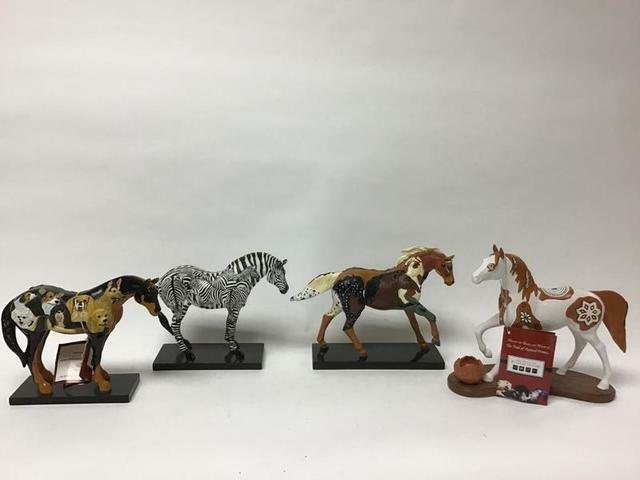 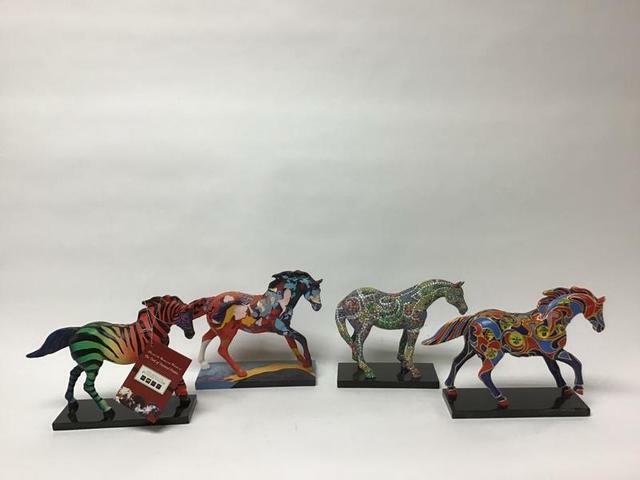 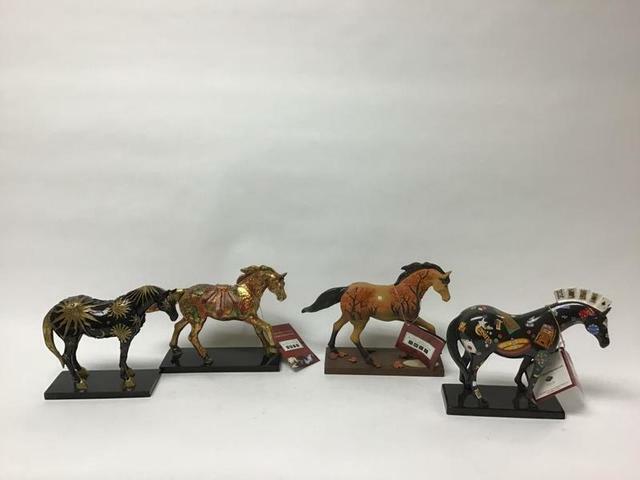 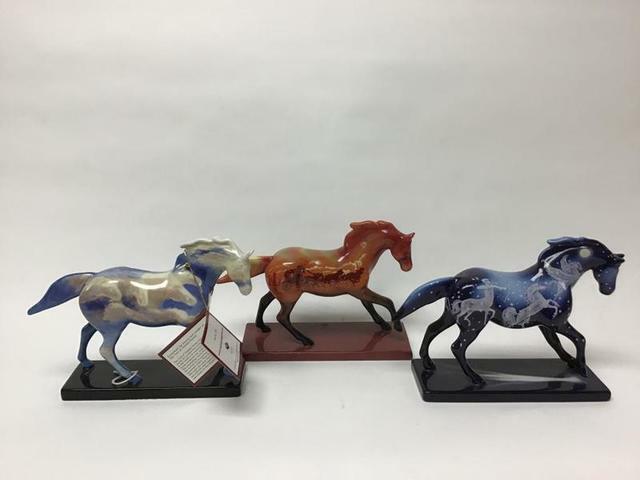 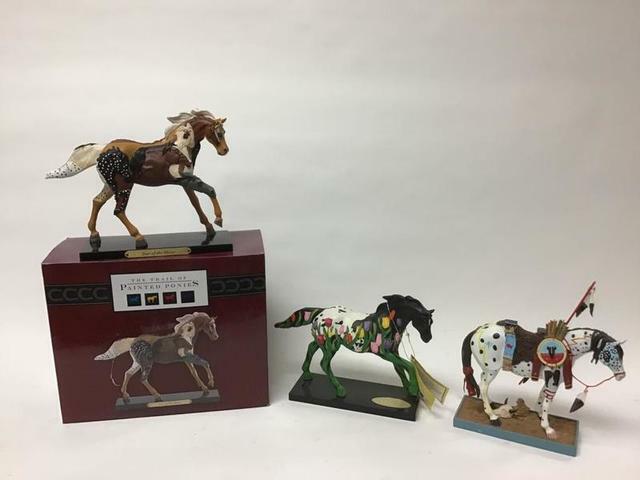 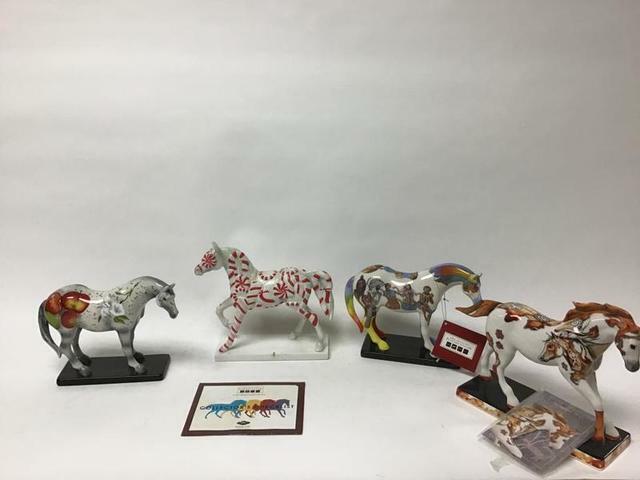 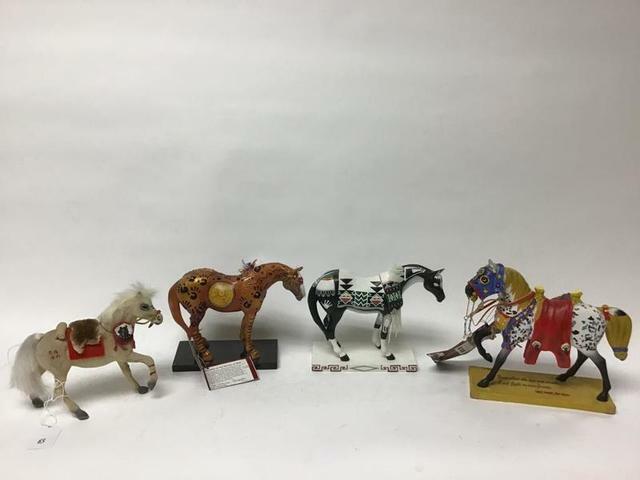 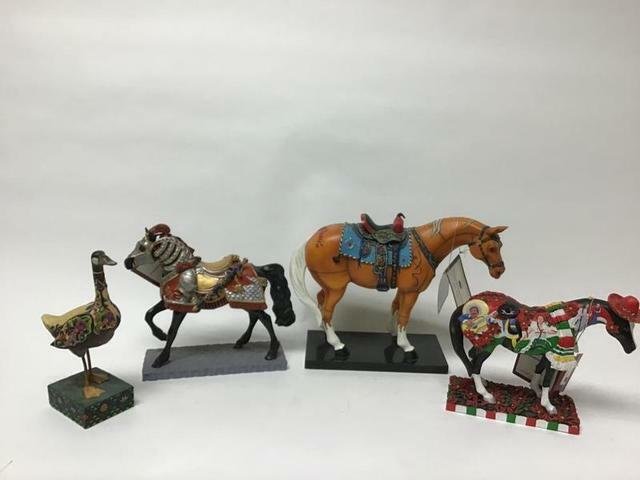 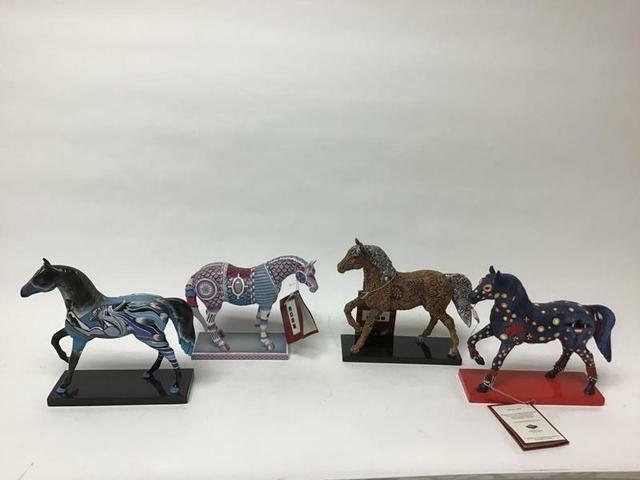 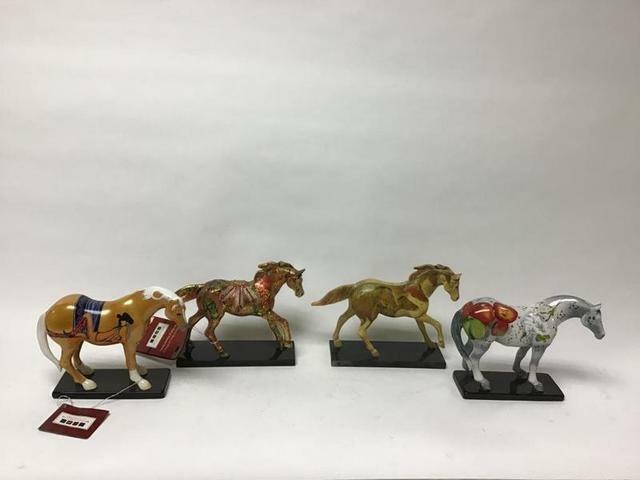 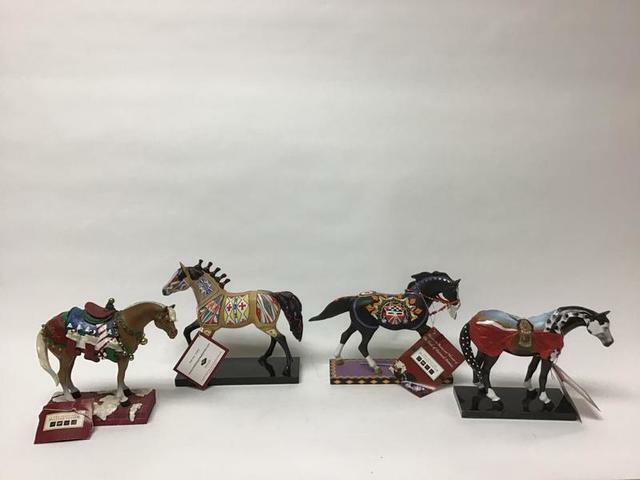 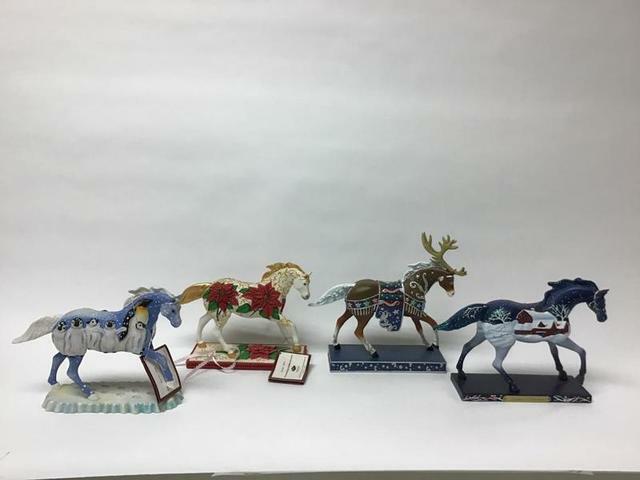 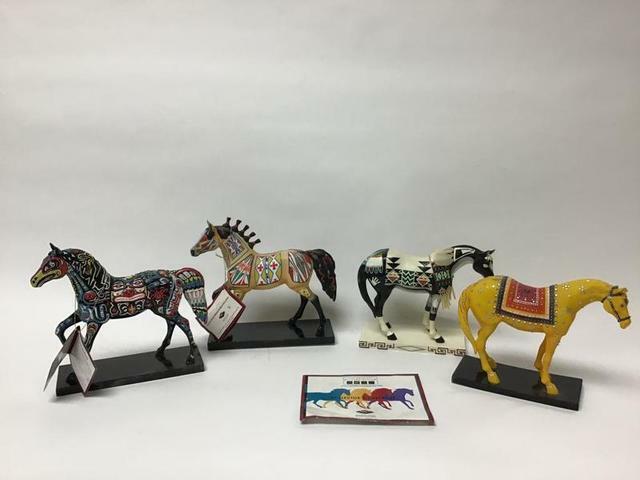 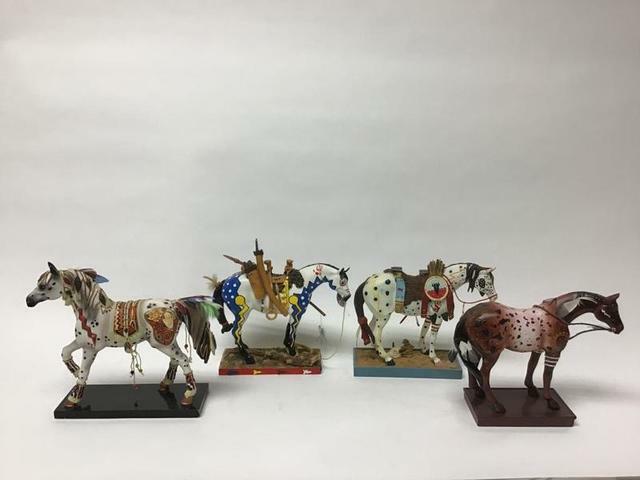 Nautical, Primitives, Geodes, Trail of Painted Ponies! 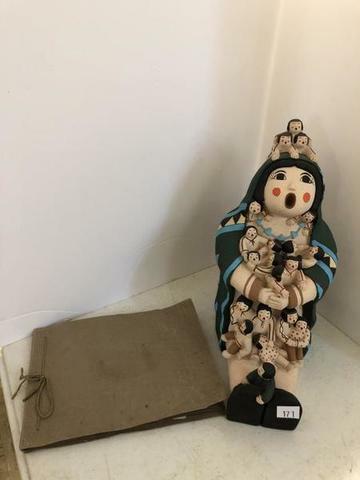 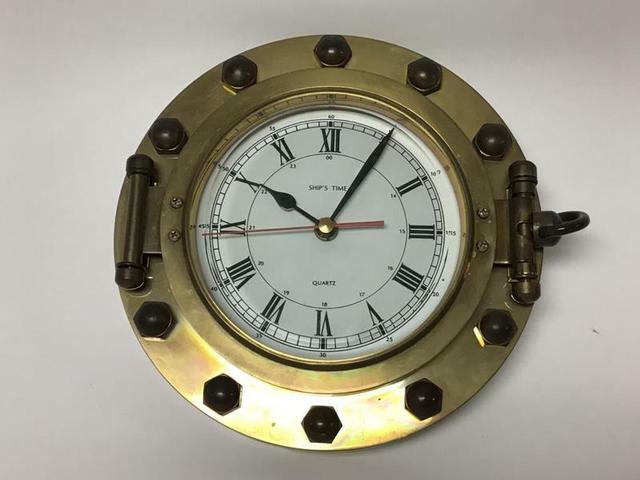 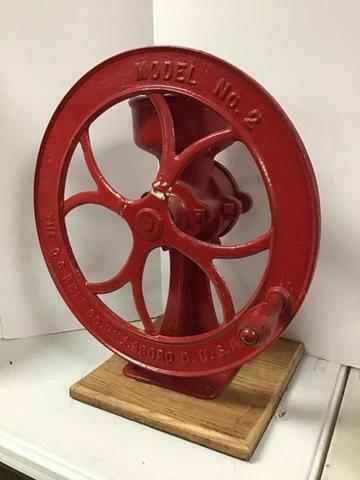 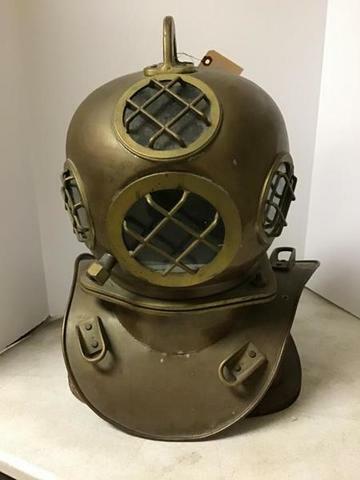 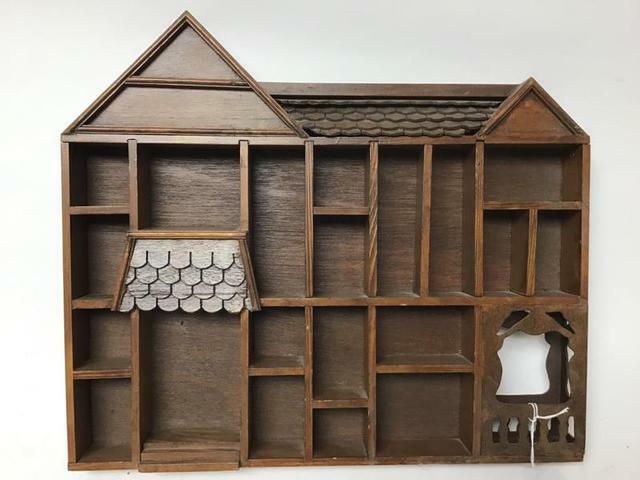 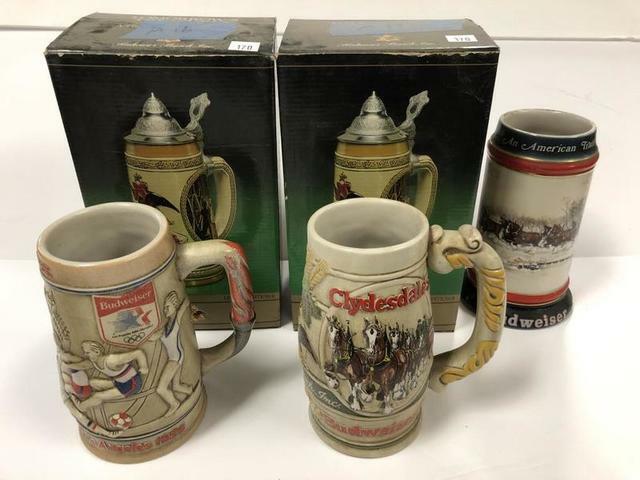 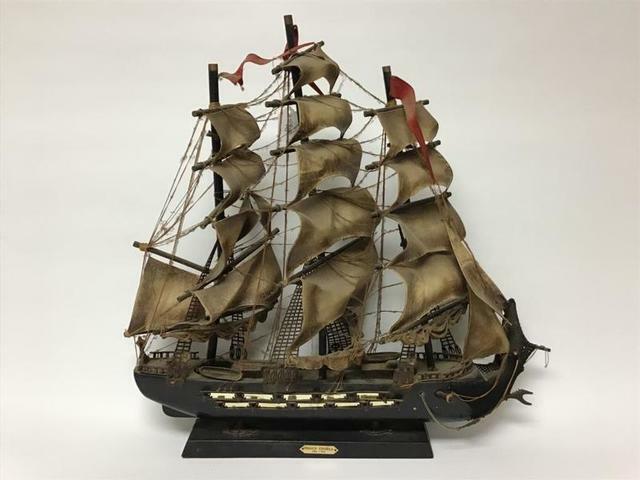 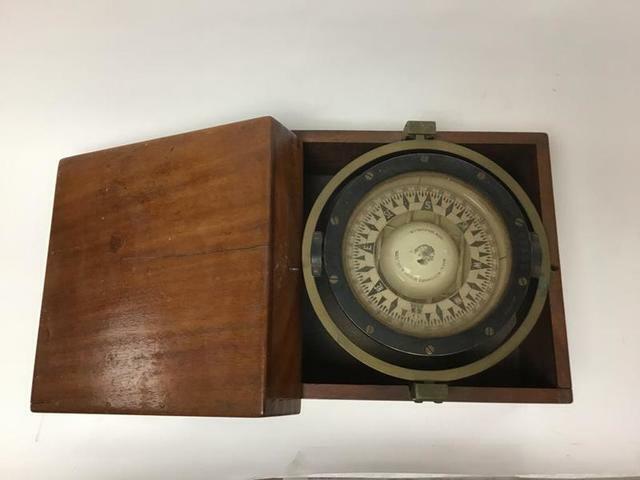 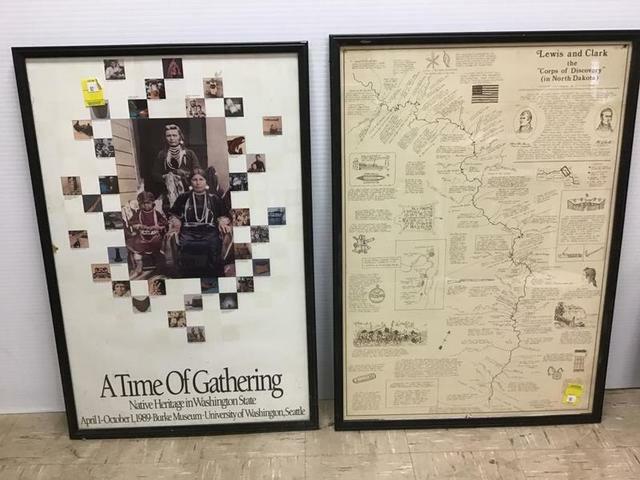 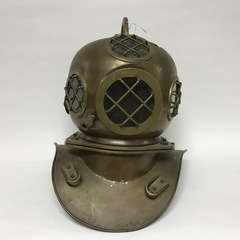 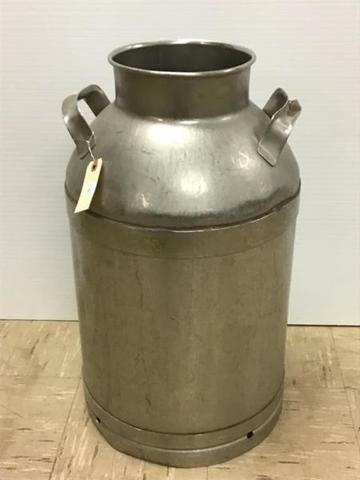 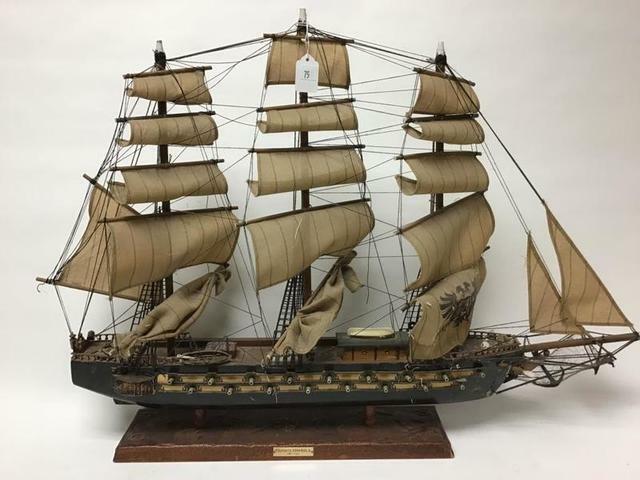 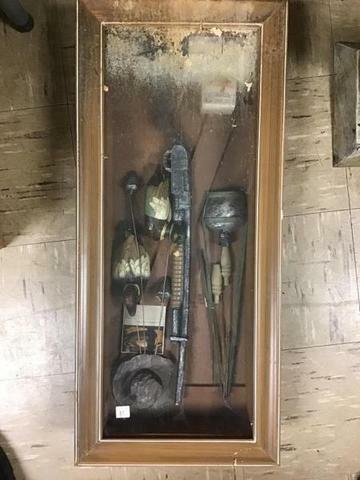 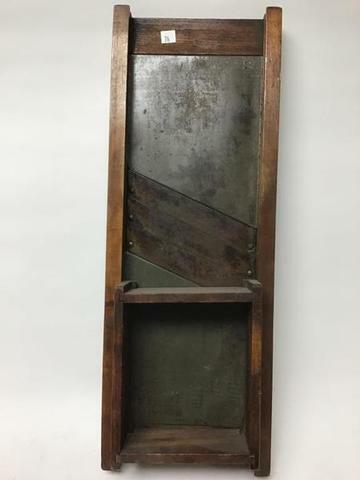 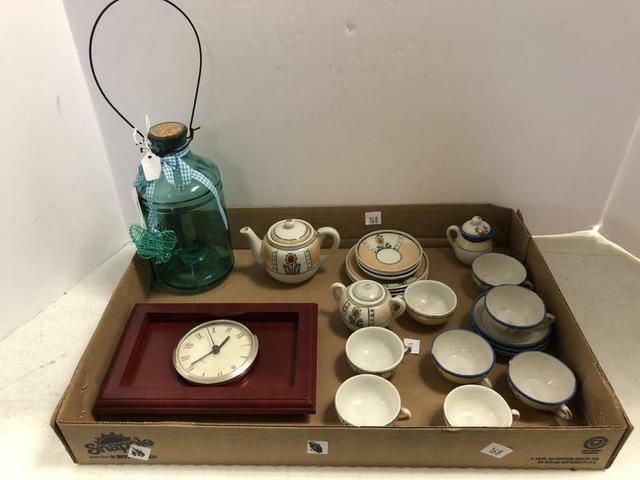 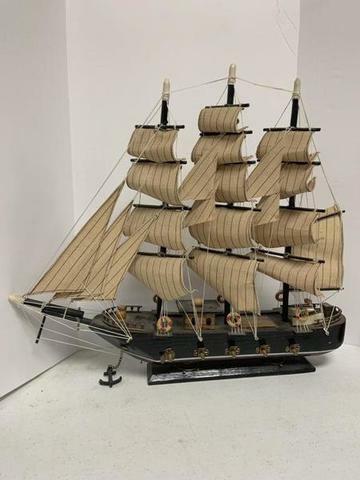 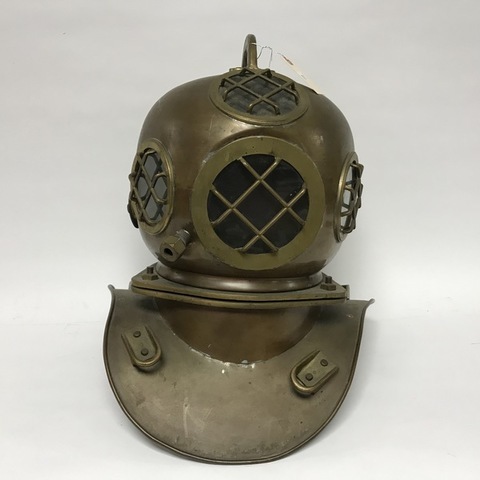 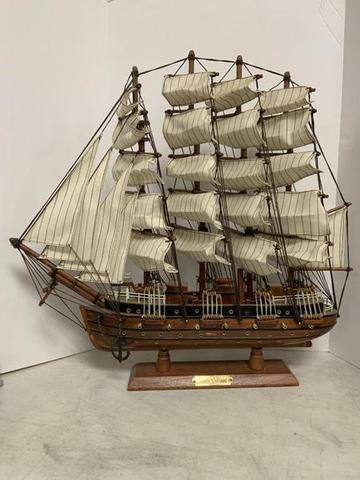 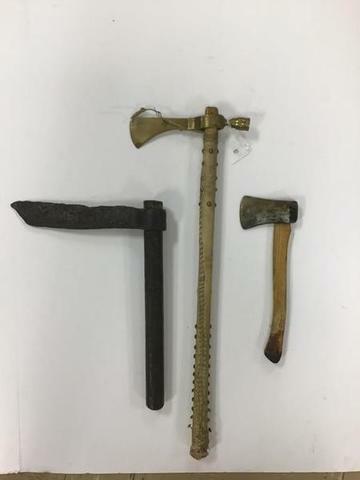 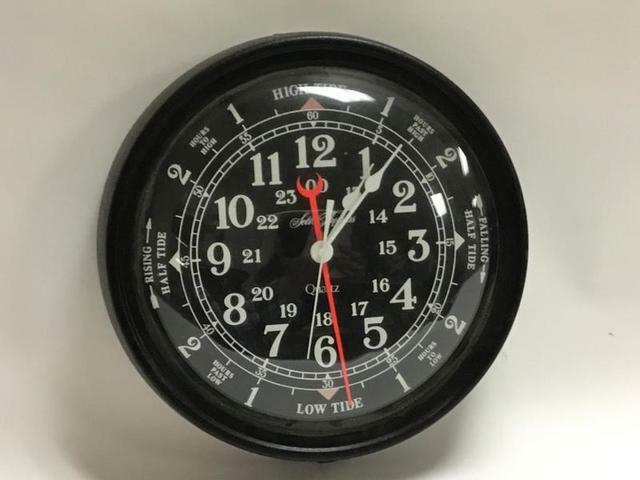 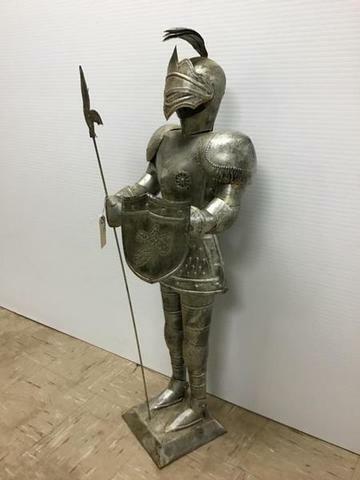 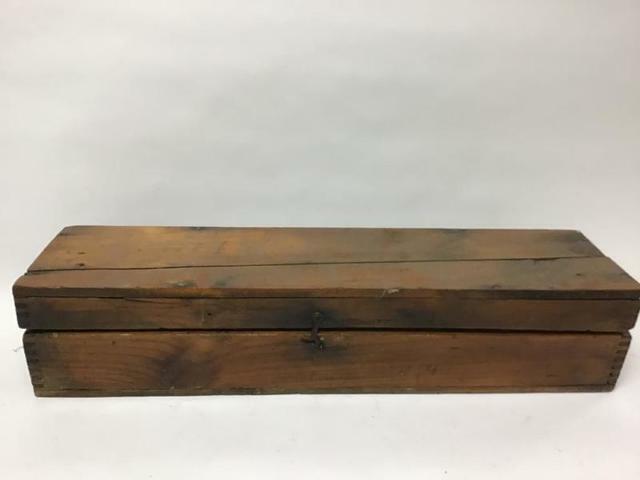 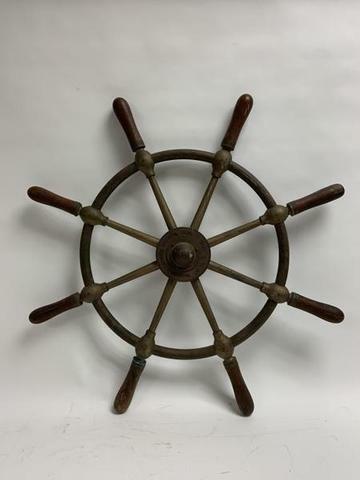 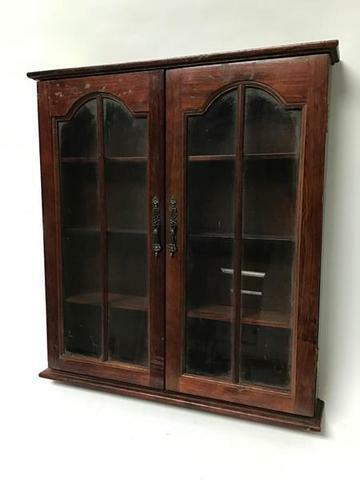 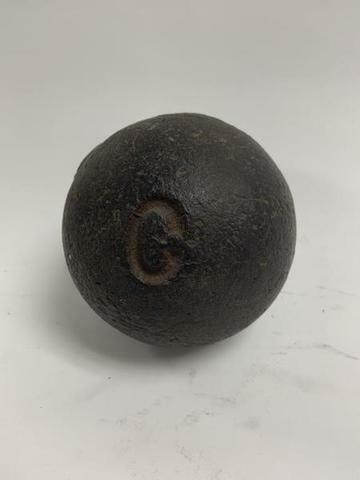 Single Owner Collection of classic nautical items including a dozen detailed model ships, an early authentic scuba diving helmet, brass ship’s wheel, framed maritime equipment and a curated collection of sea shells. 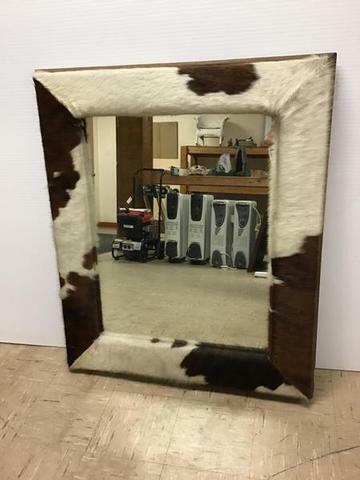 Or call for private preview. 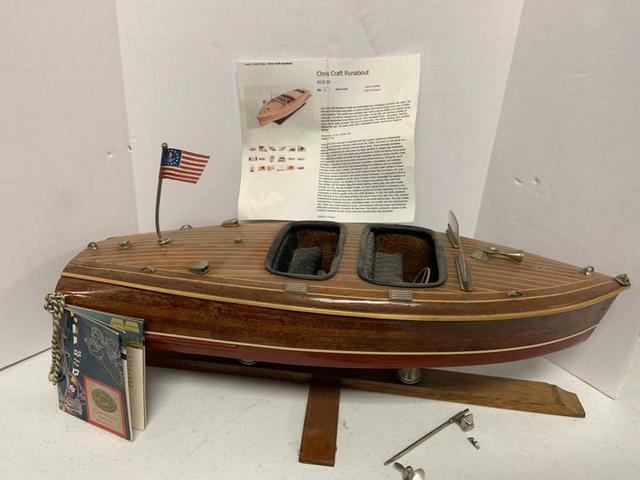 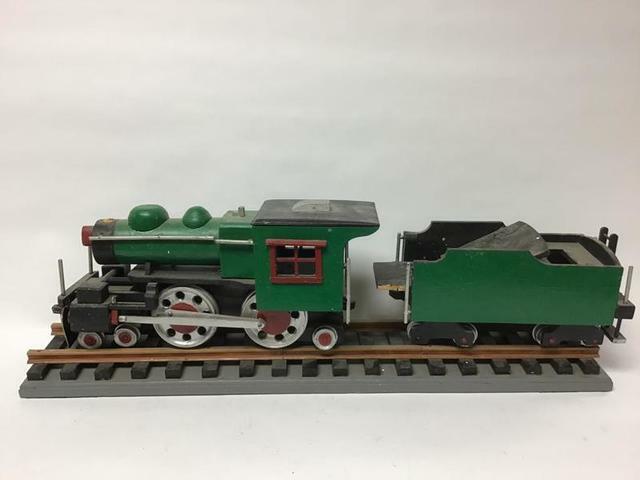 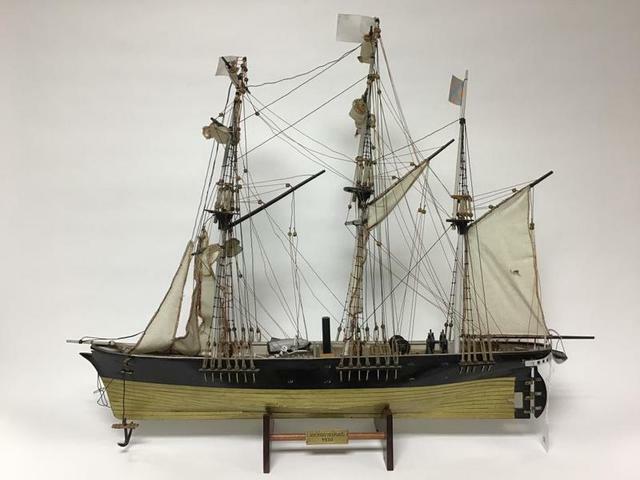 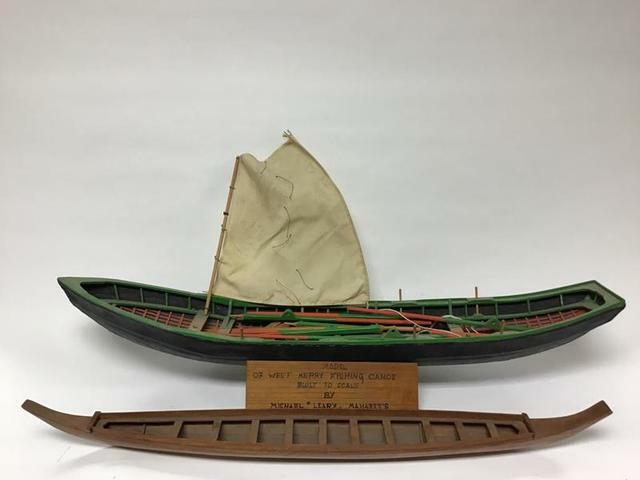 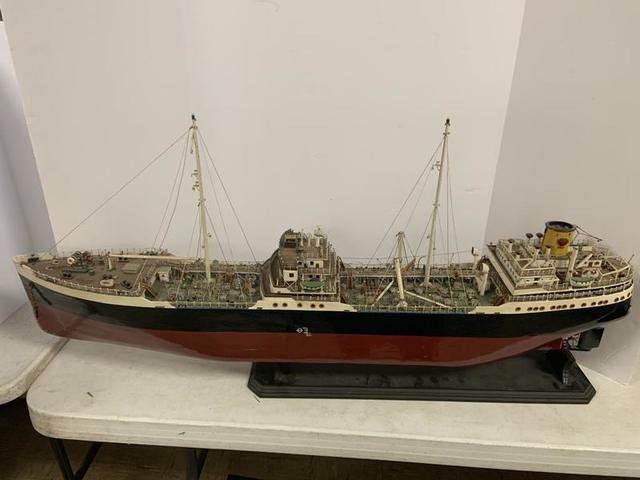 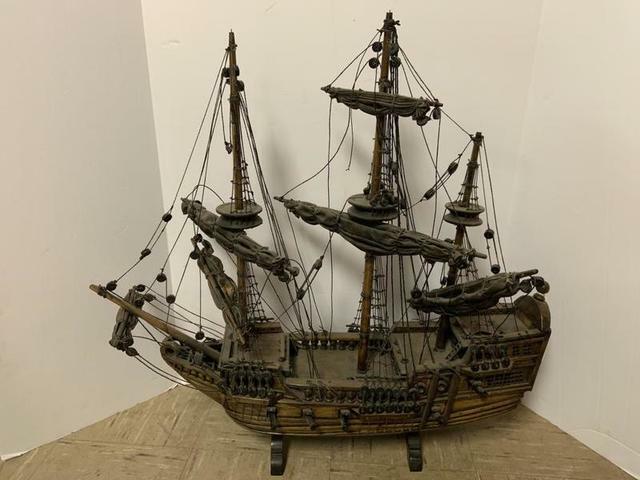 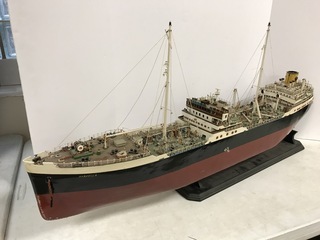 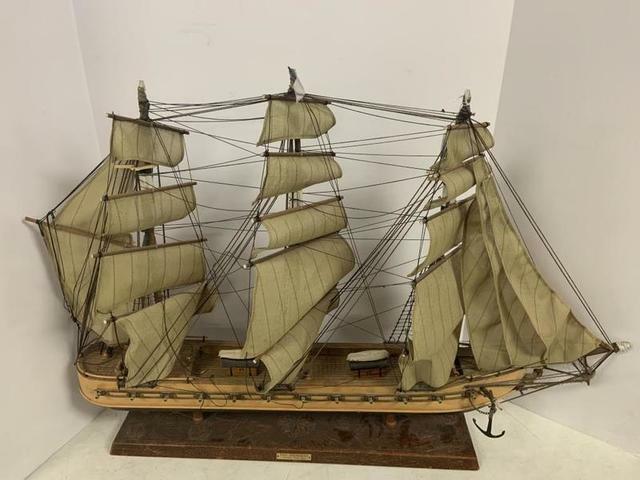 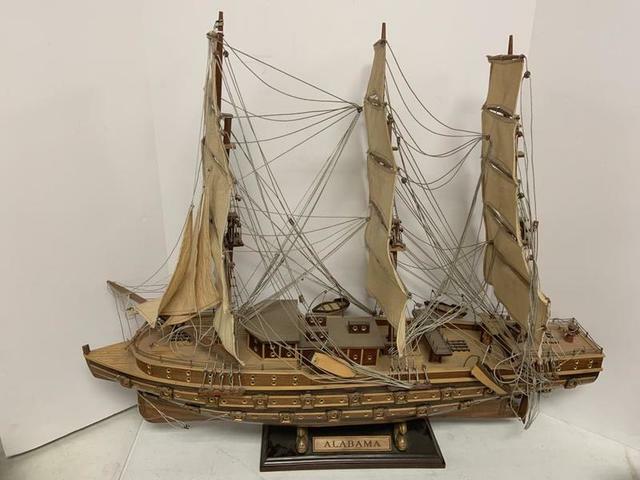 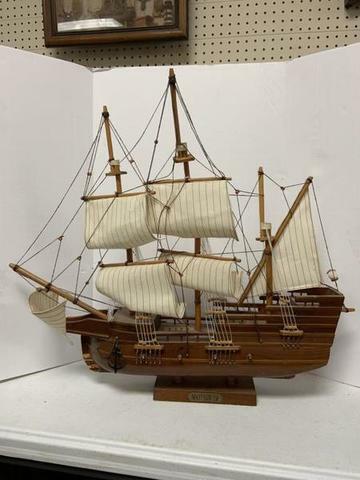 Nautical model ships including Harvella, The President, Fragata Espanola, Amerigo Vespucci, USS Valiant, Alabama, Mayflower, Chris Craft Runabout & others. 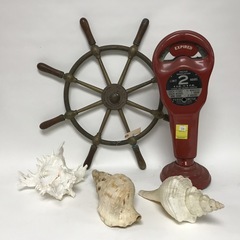 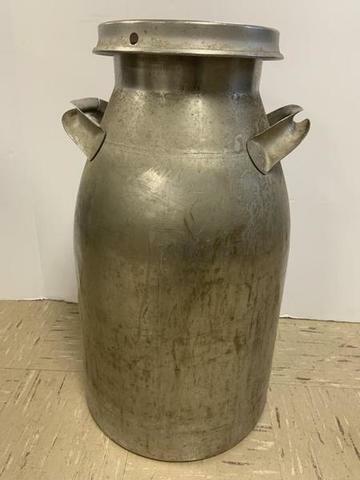 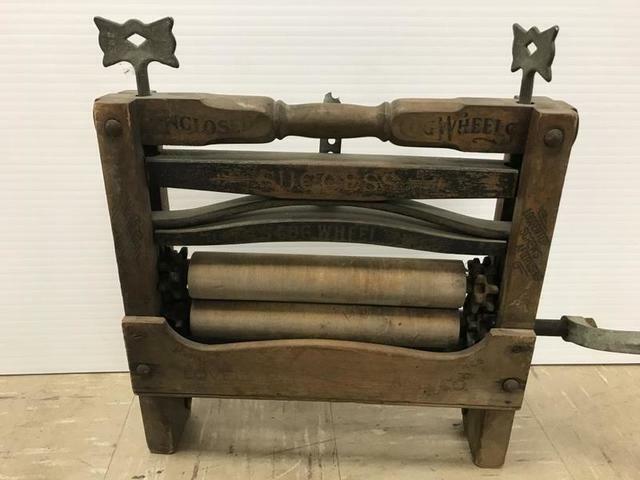 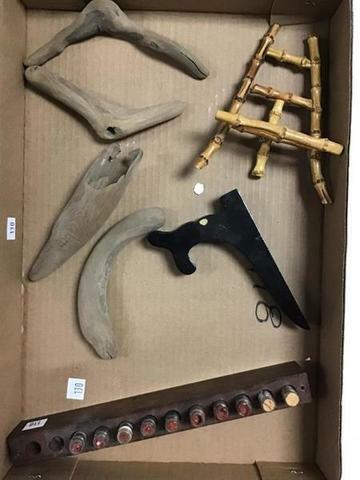 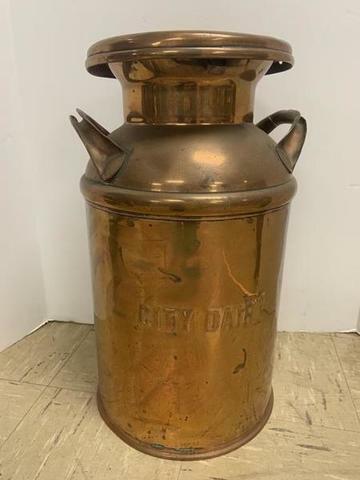 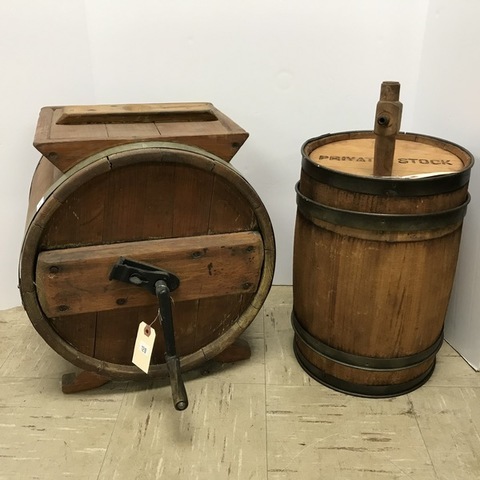 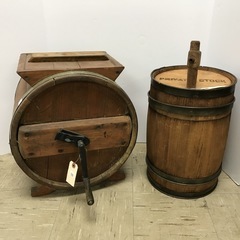 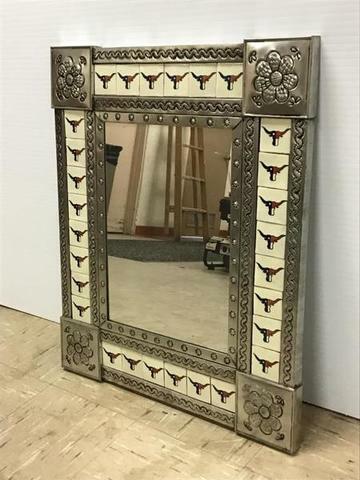 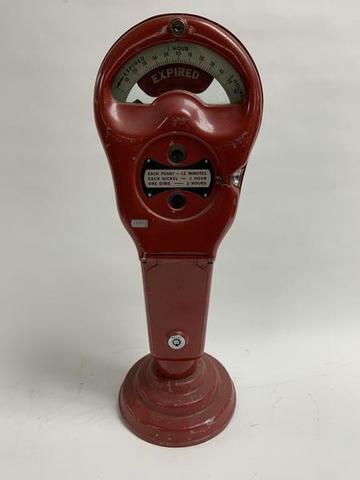 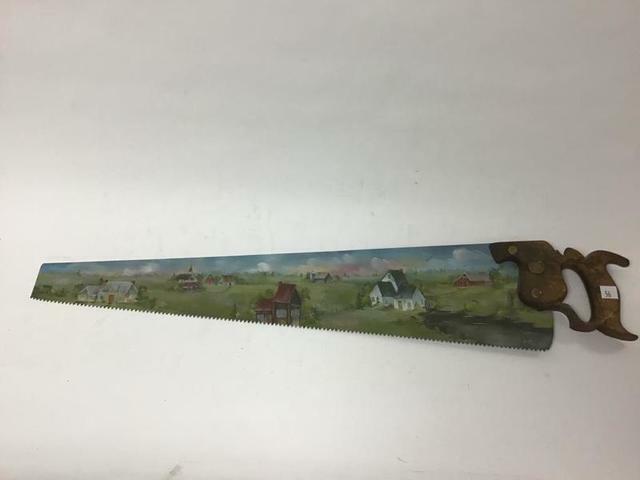 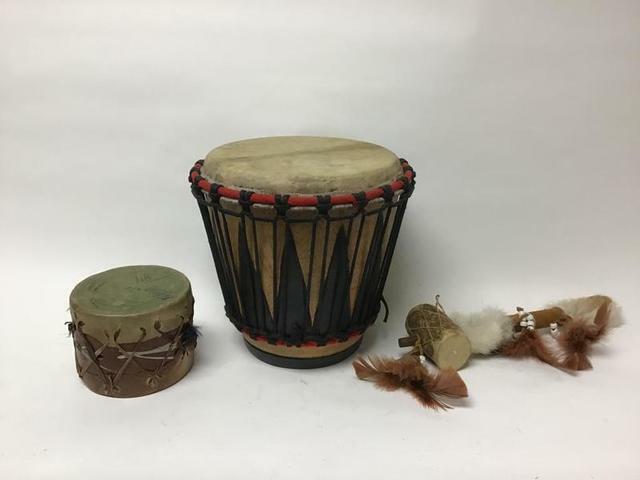 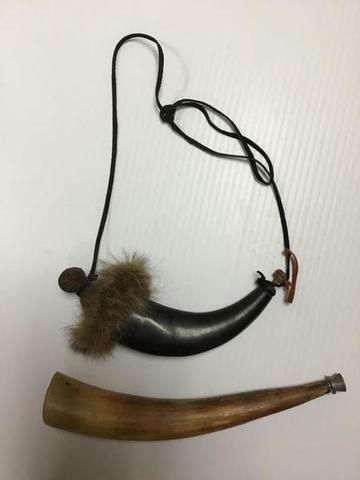 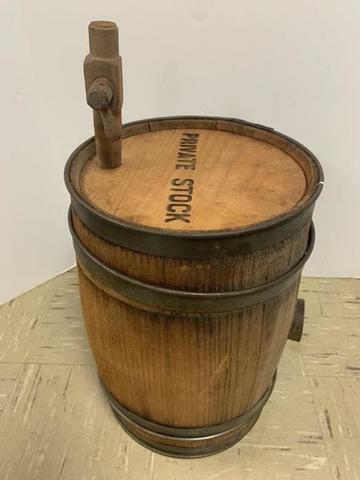 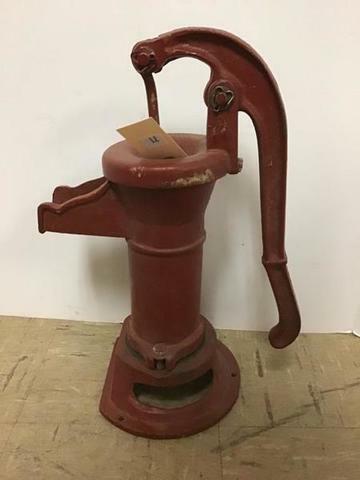 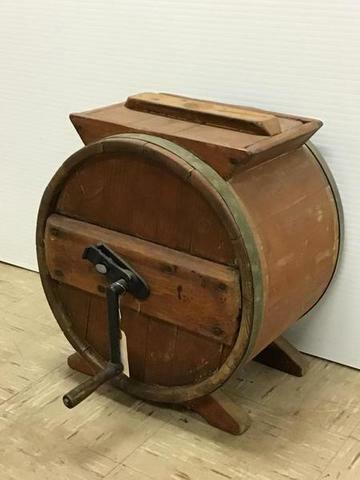 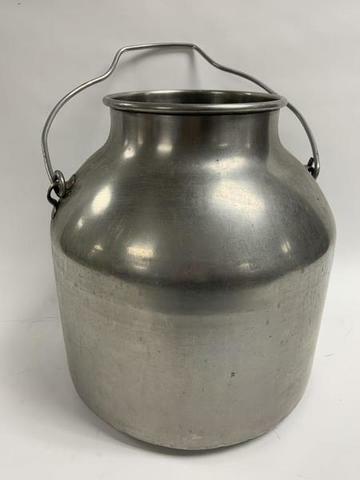 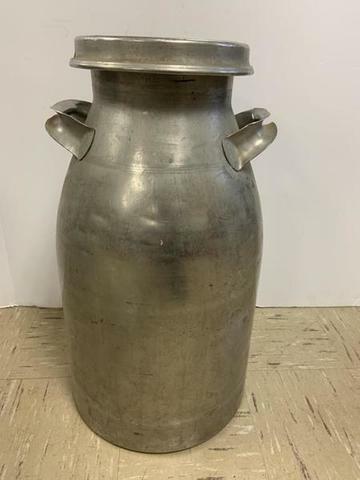 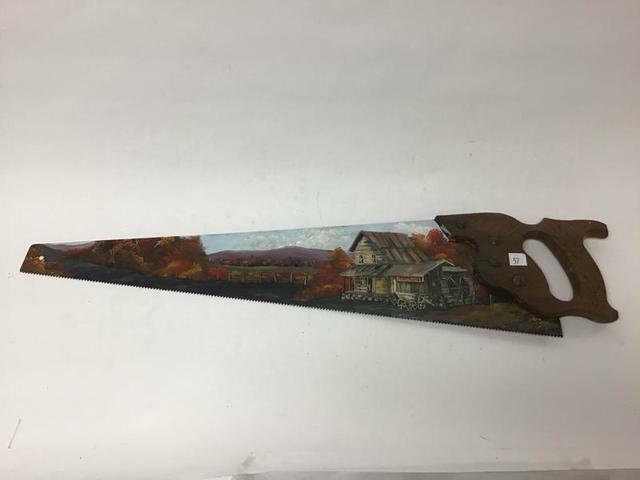 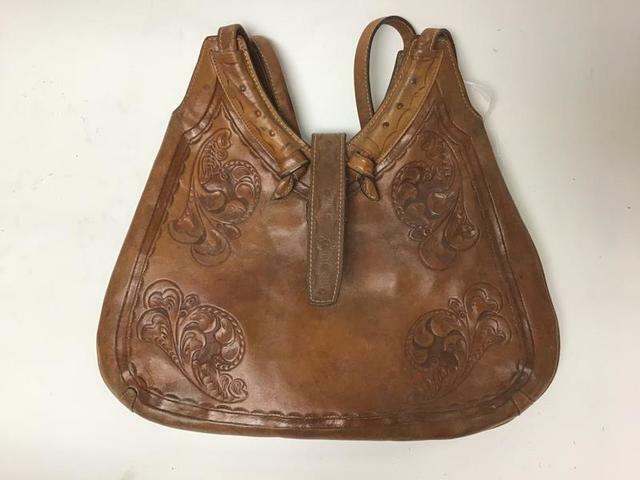 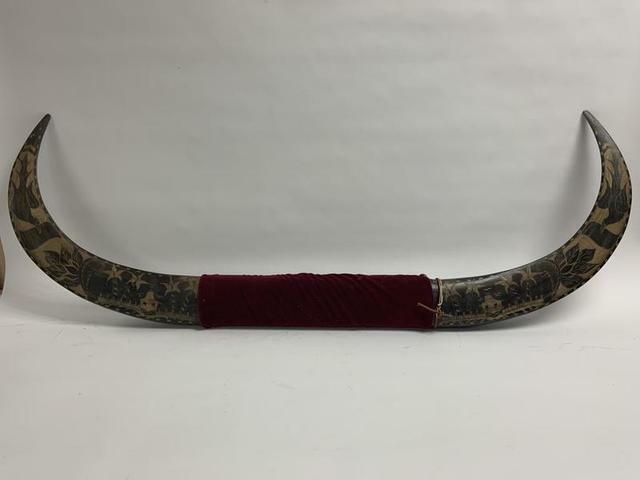 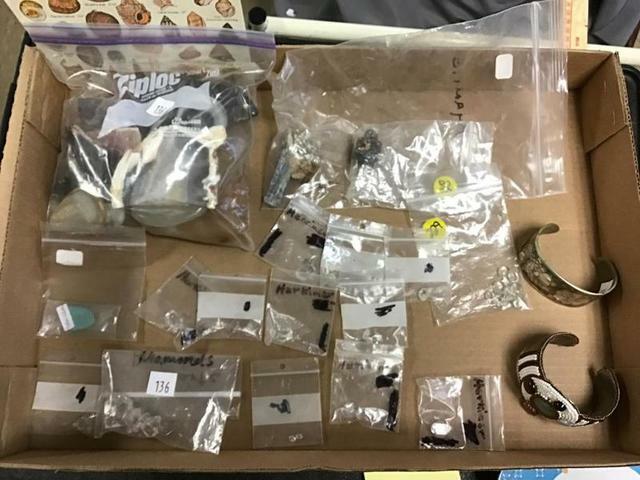 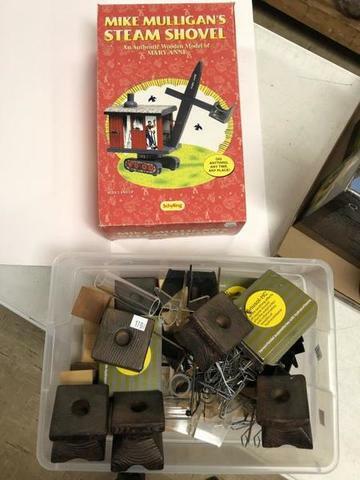 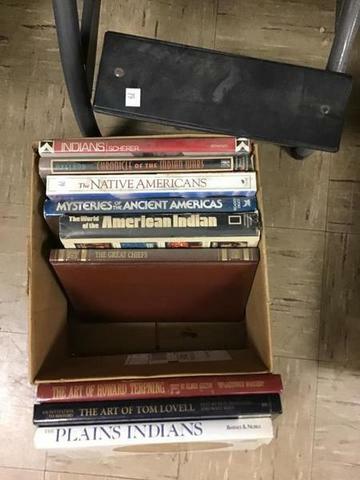 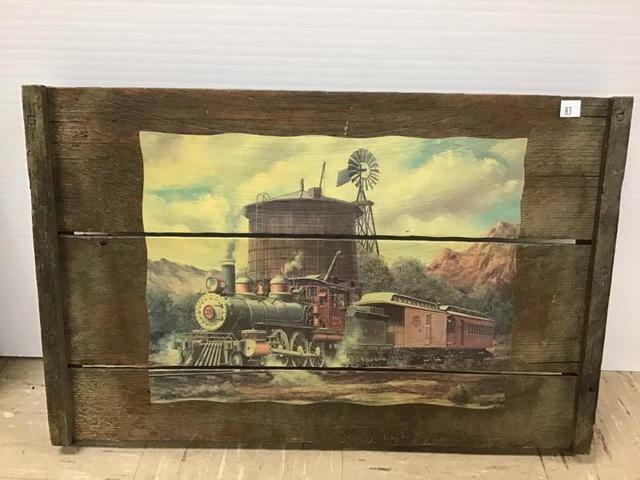 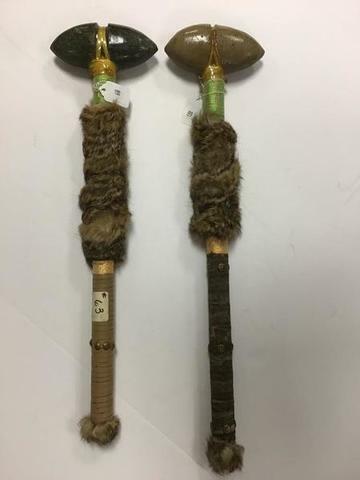 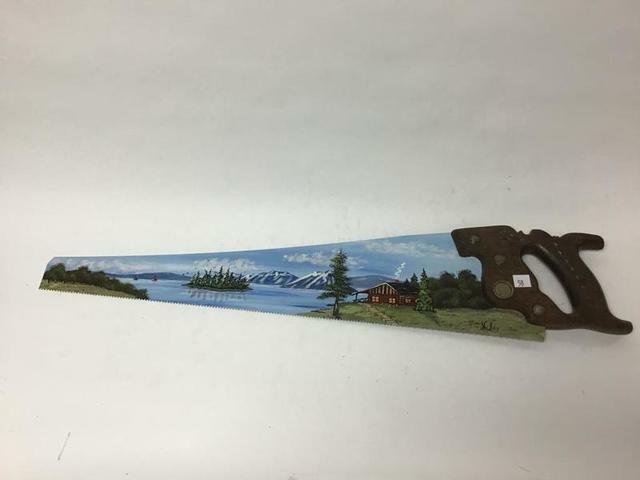 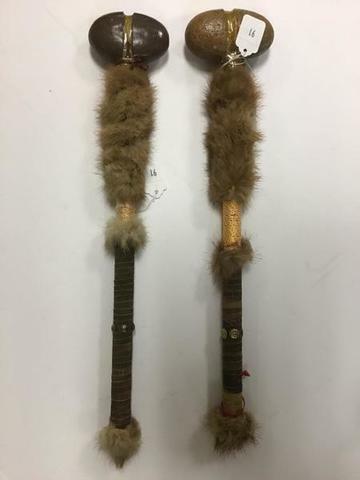 Carved bull horn, vintage parking meter, nautical, iron cannonball, copper milk churns, coffee grinder, knights amour, whiskey barrel, wood churn, collection of sea shells, black coral, sea sponge, Lovell’s Cog Wheel Shields Wringer Washer, CI well pump, Anheuser-Busch steins, Primitive axes, animal horns, Native American drums – tomahawks – spears, arrowheads, Southwest jewelry. 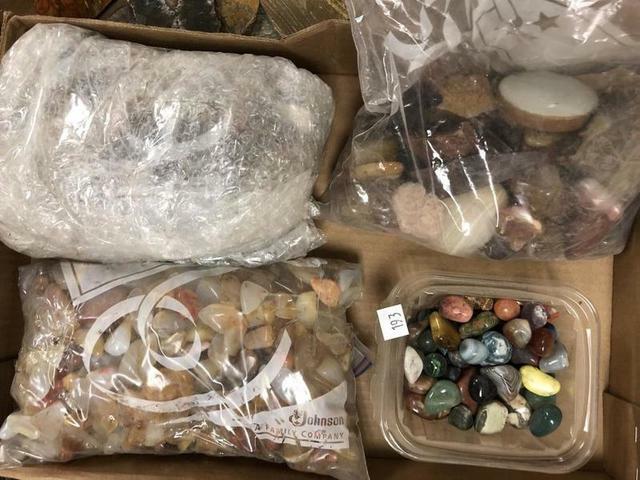 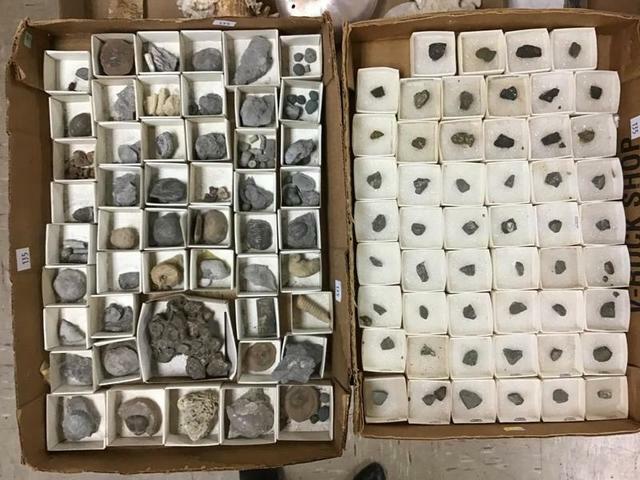 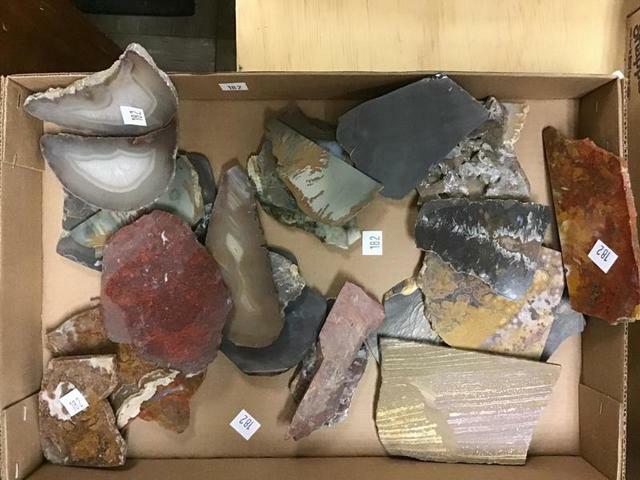 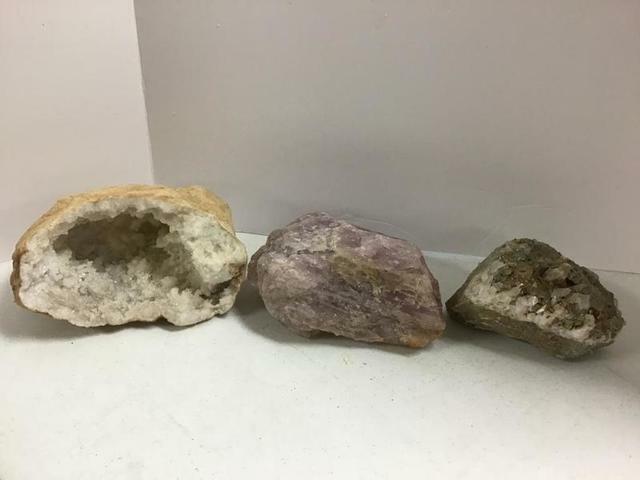 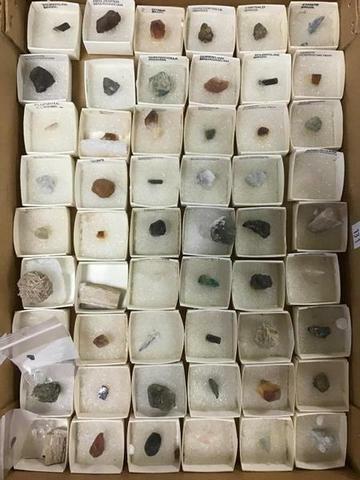 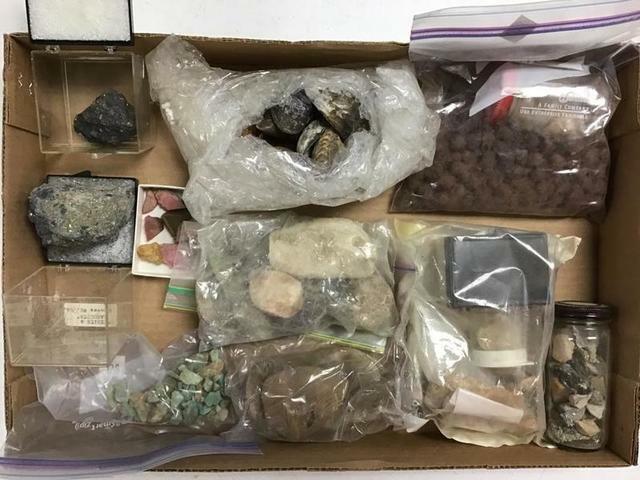 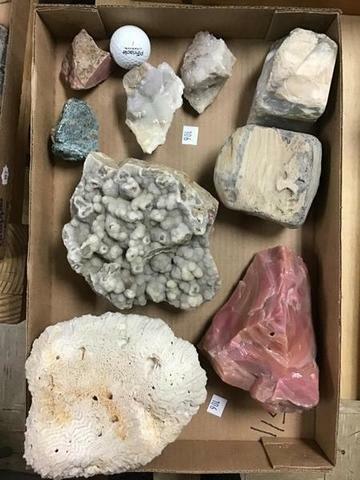 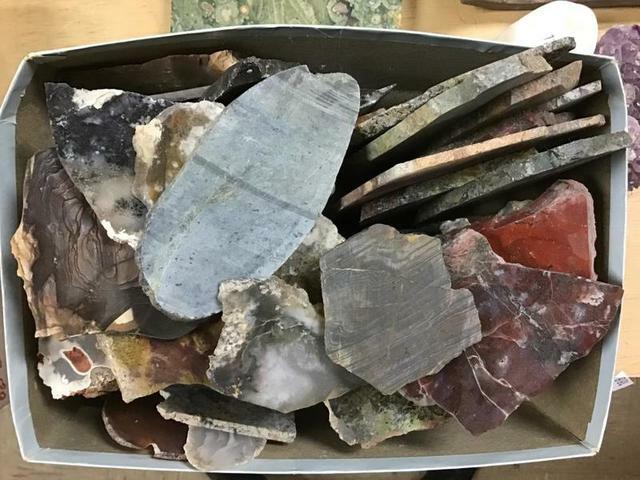 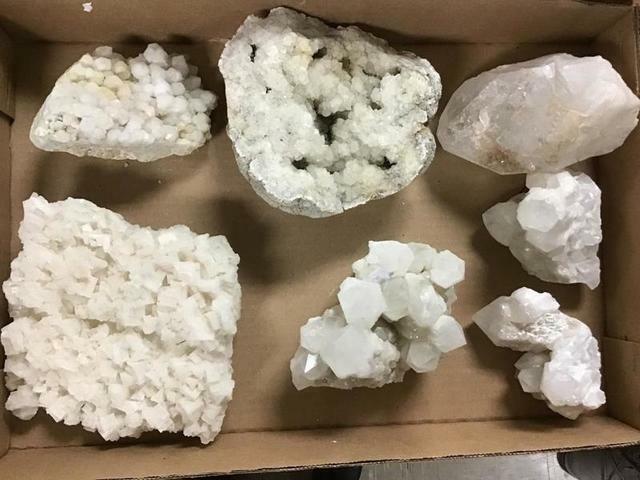 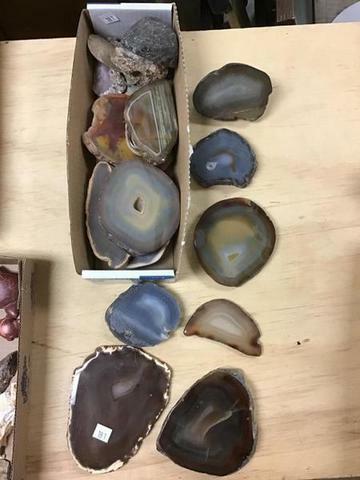 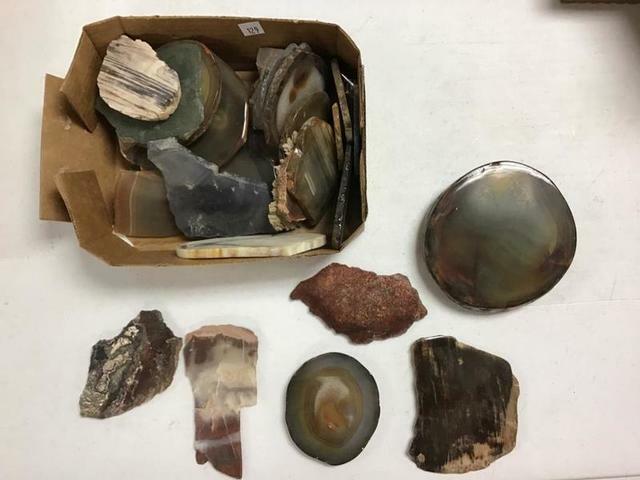 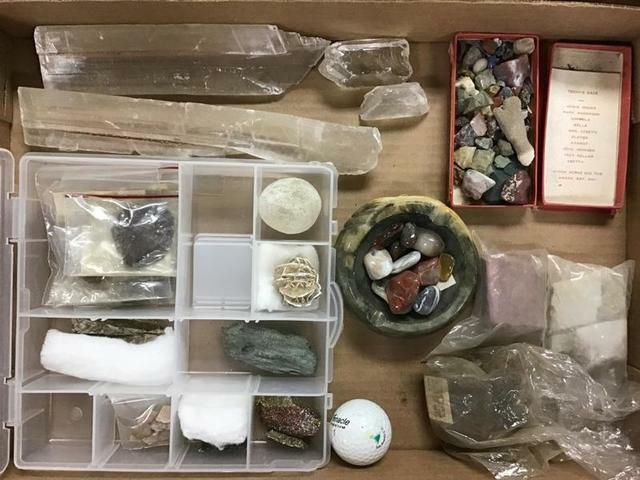 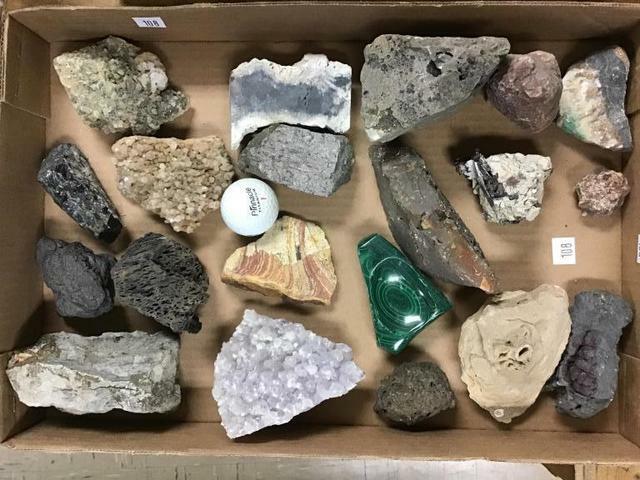 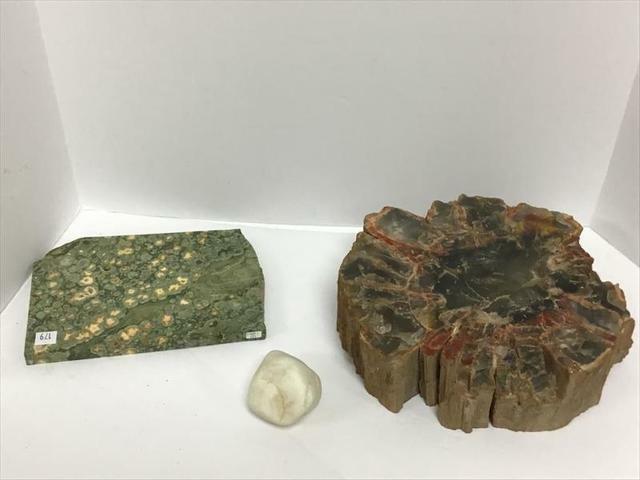 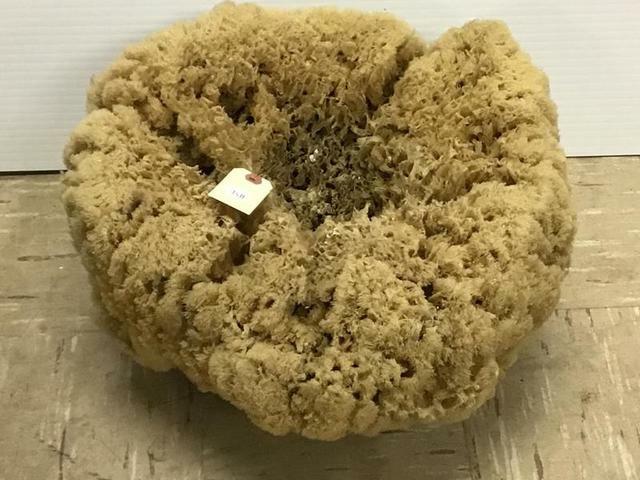 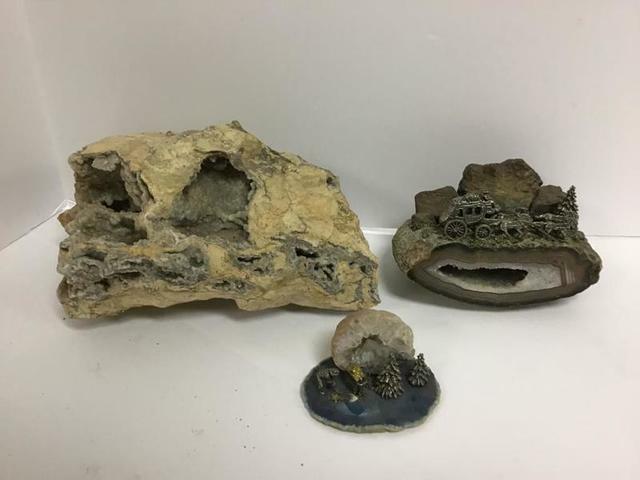 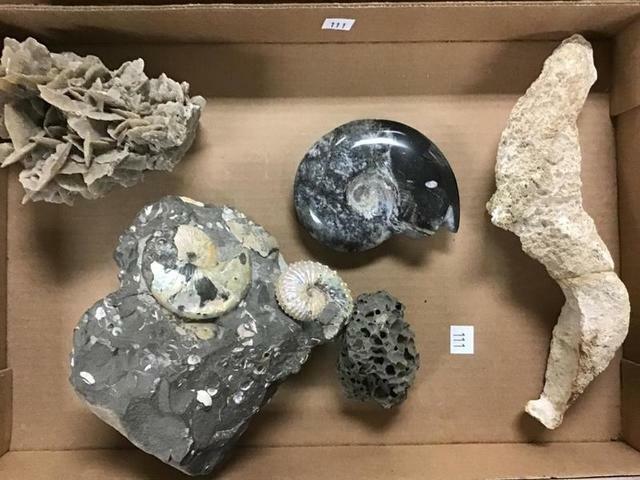 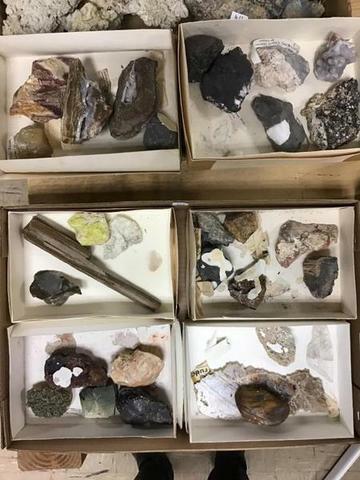 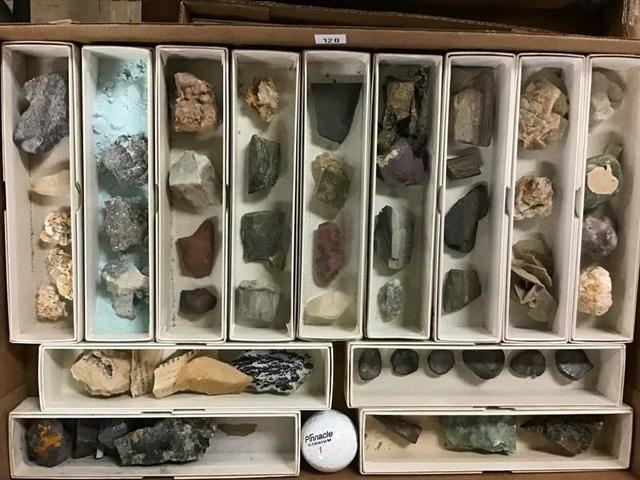 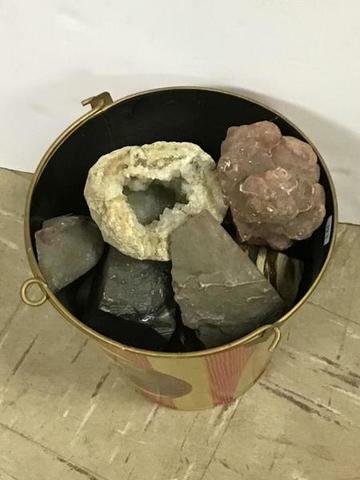 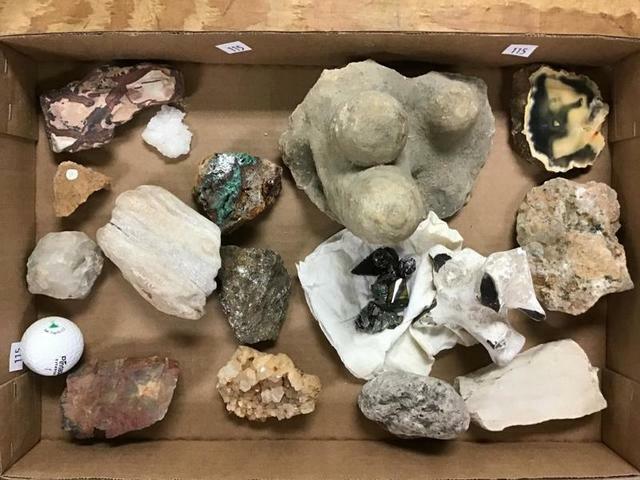 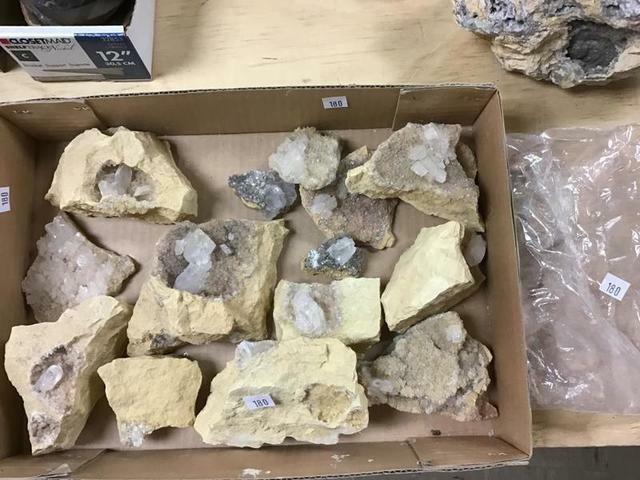 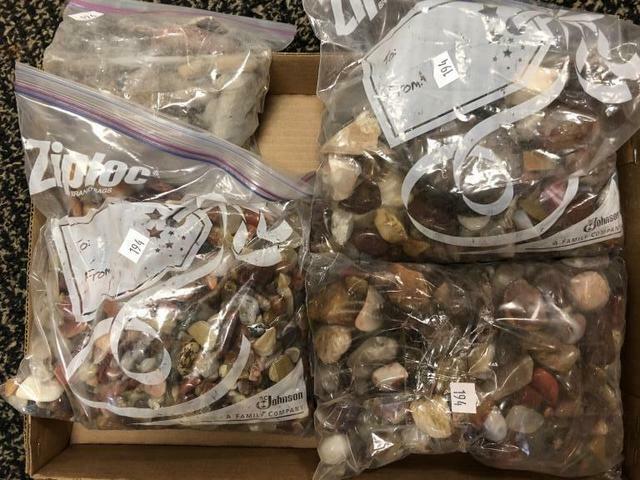 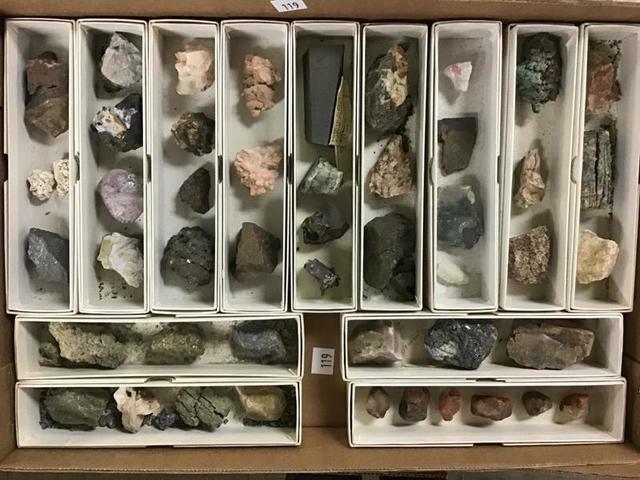 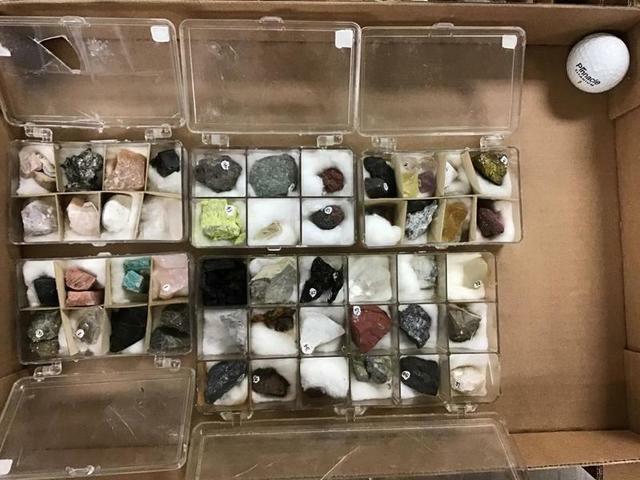 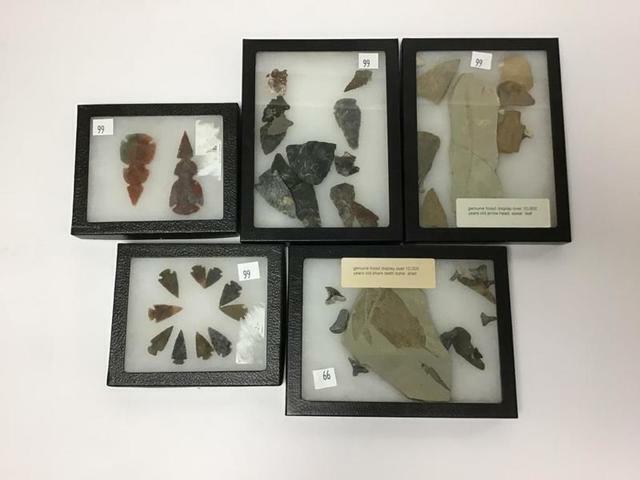 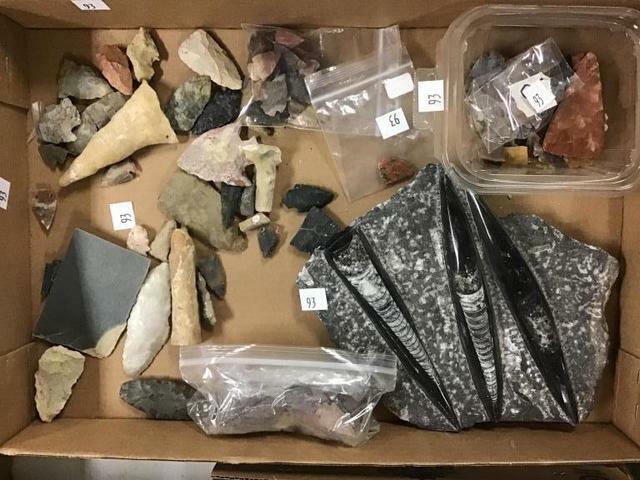 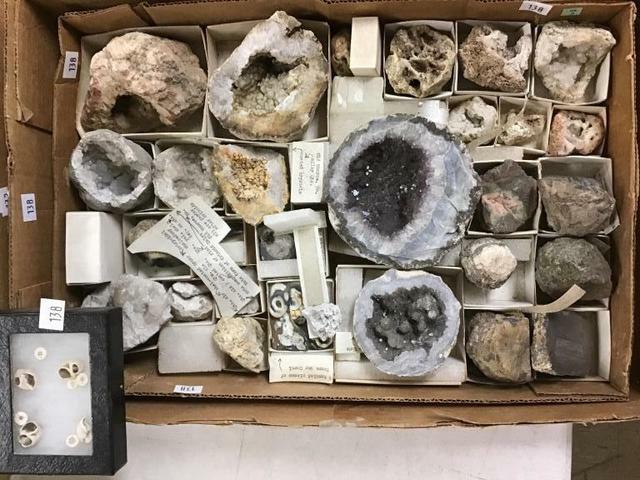 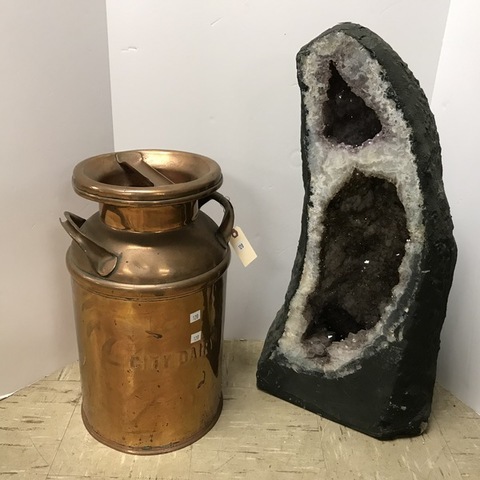 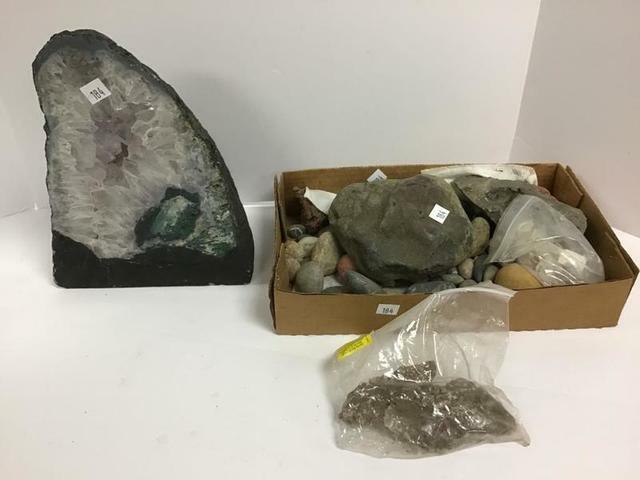 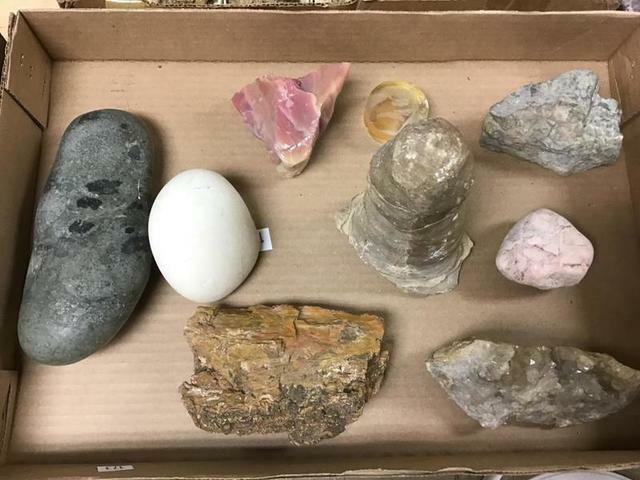 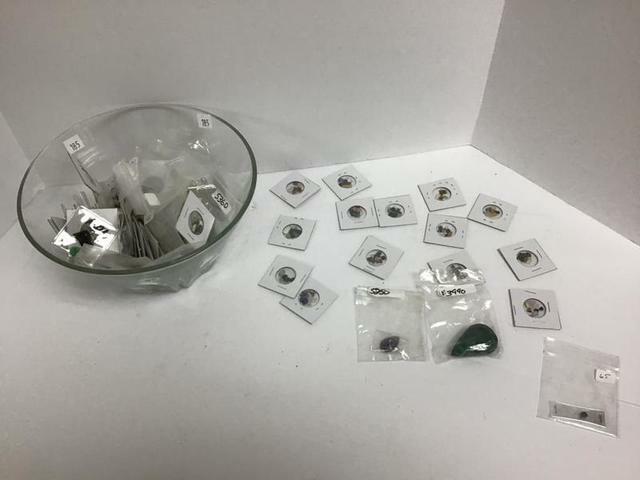 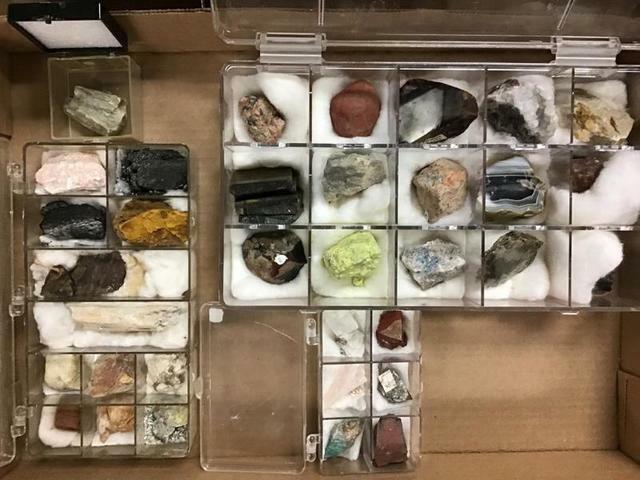 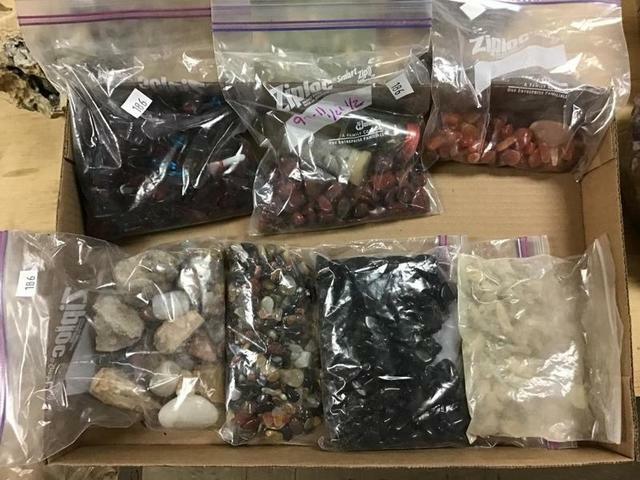 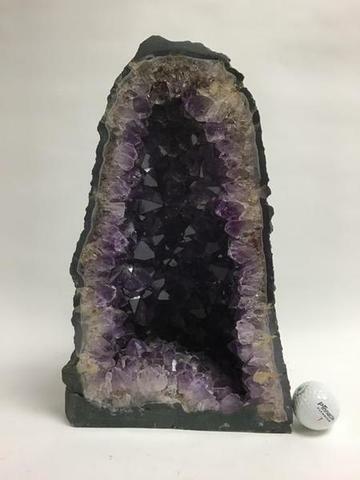 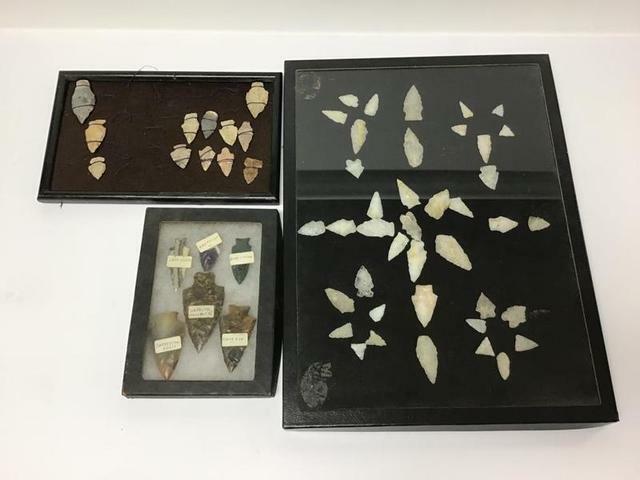 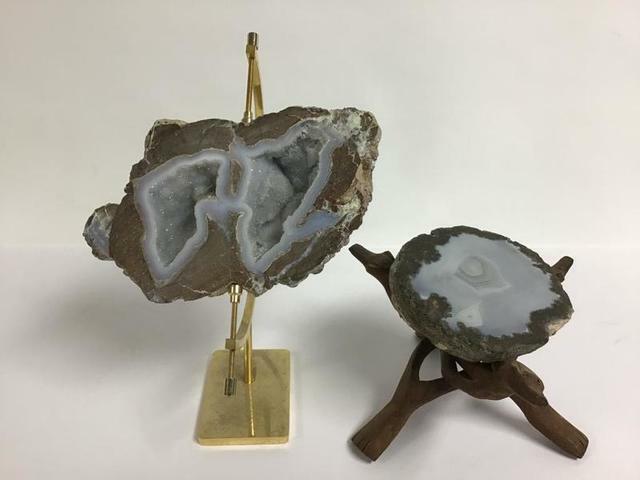 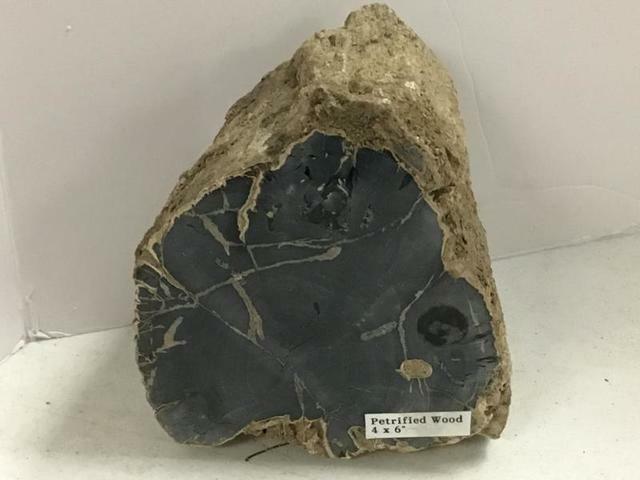 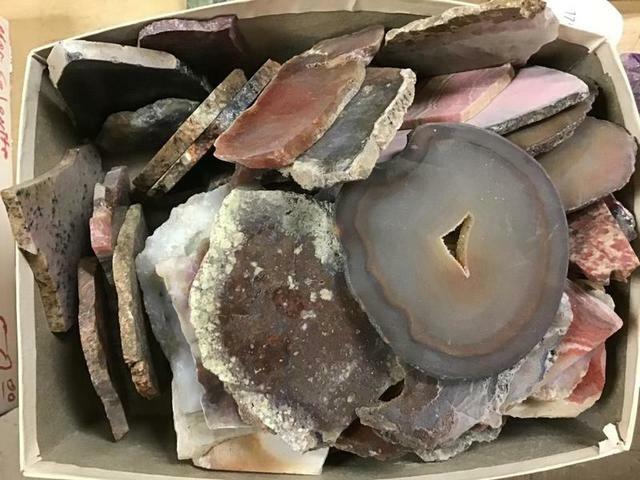 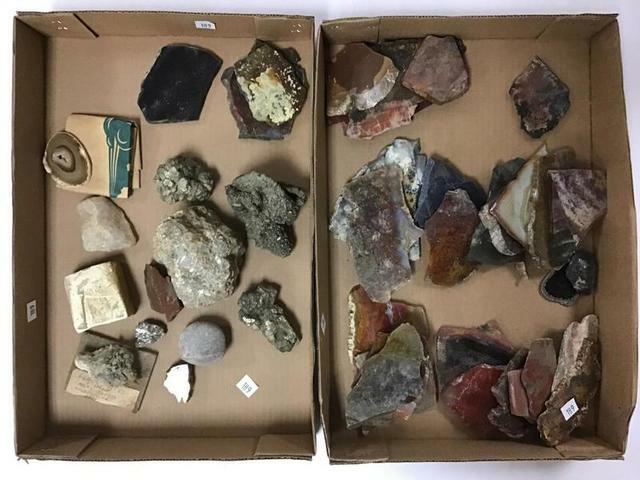 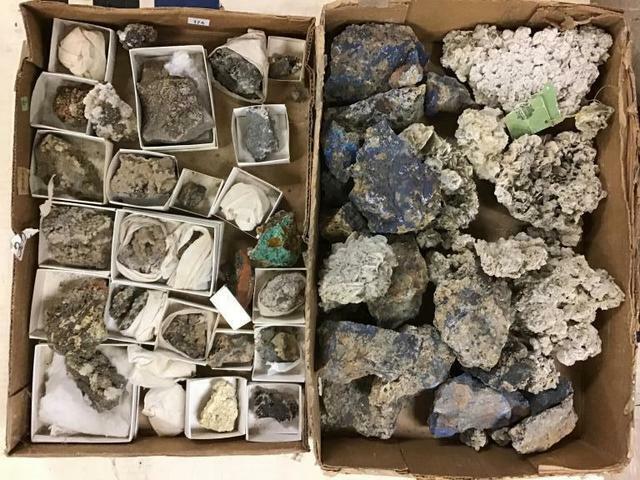 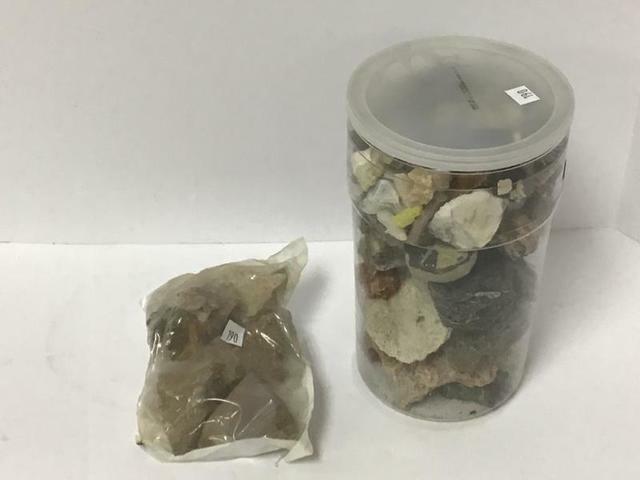 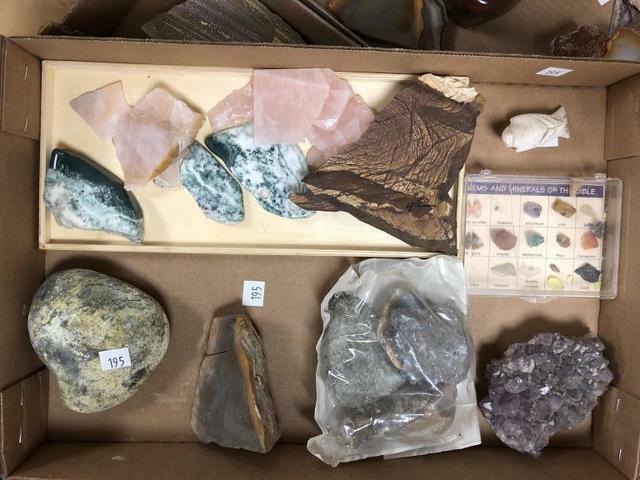 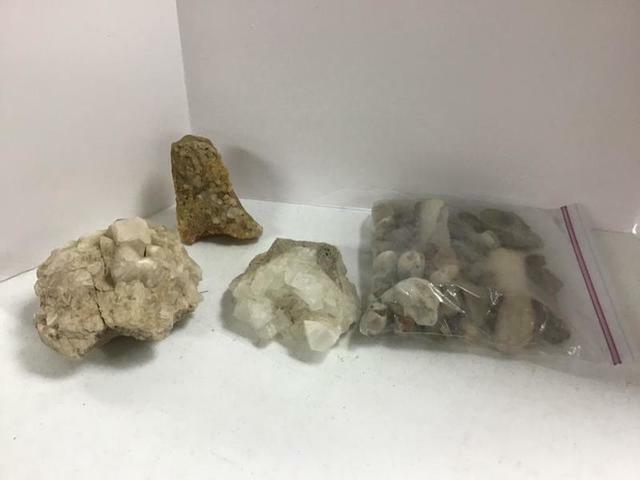 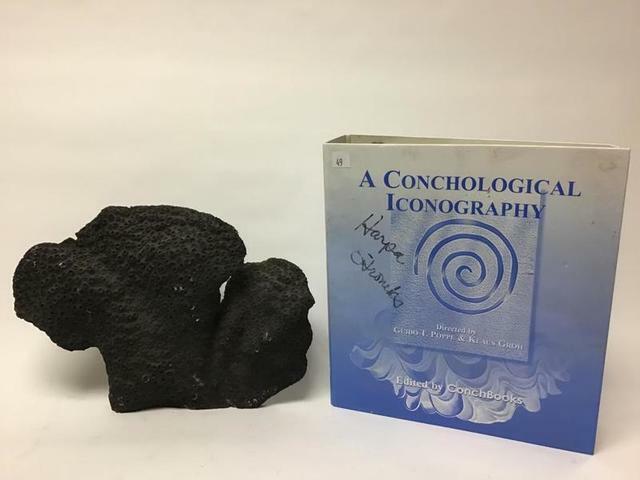 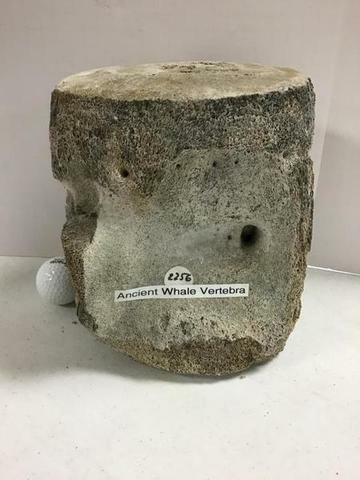 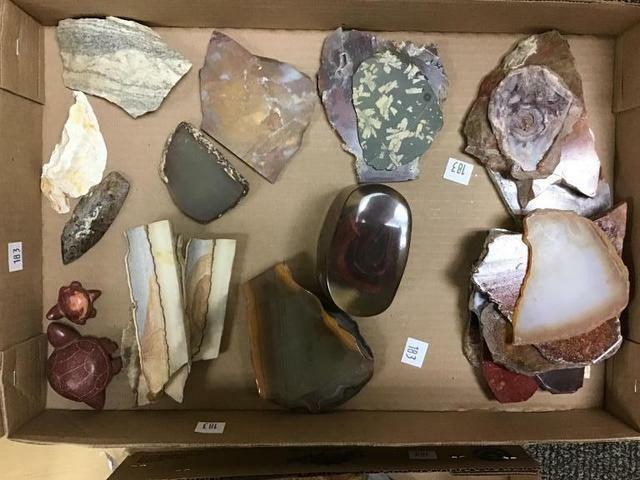 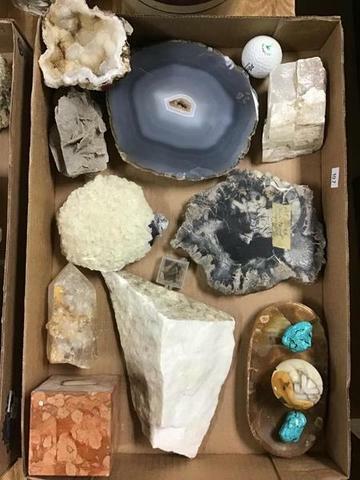 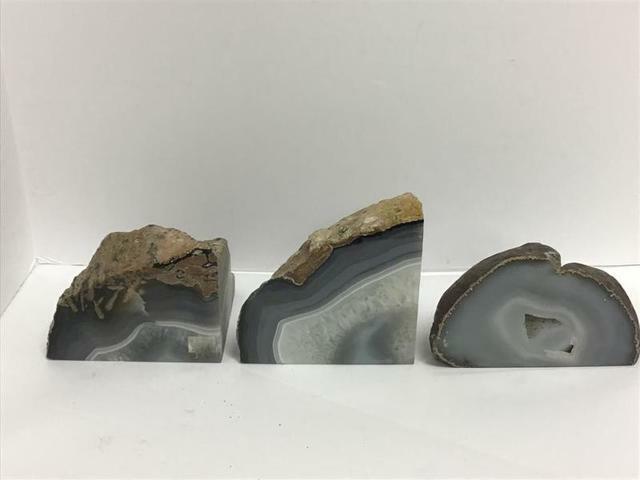 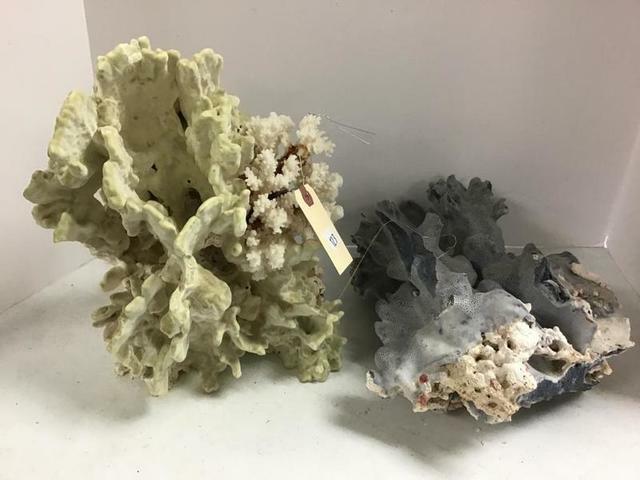 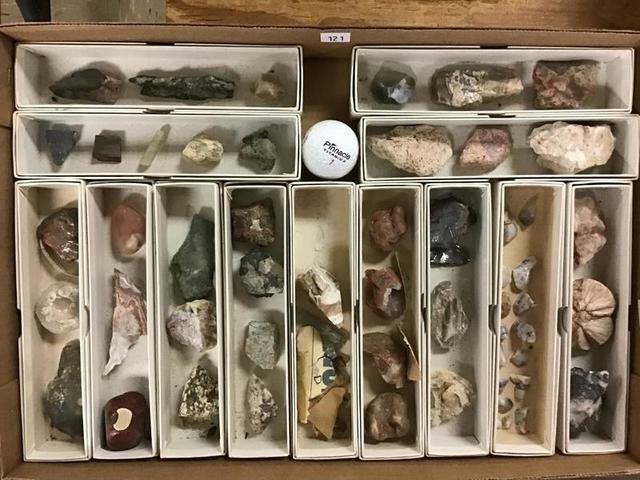 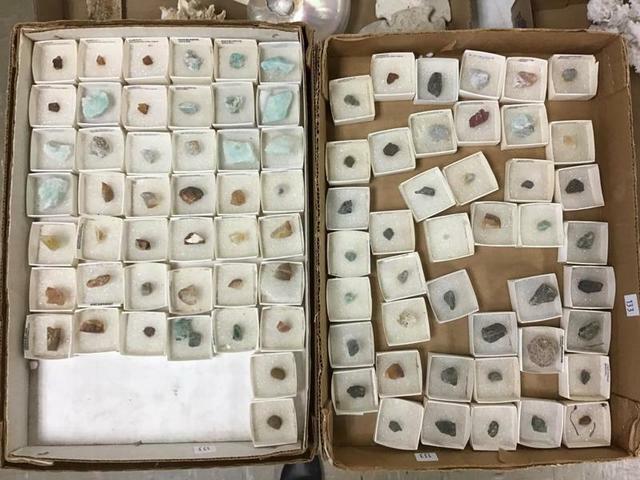 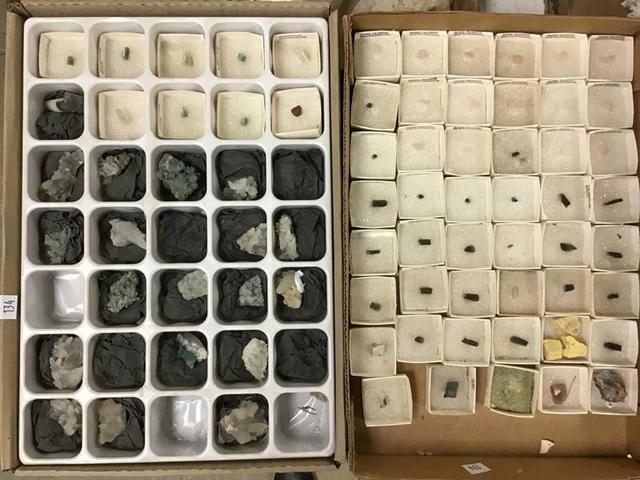 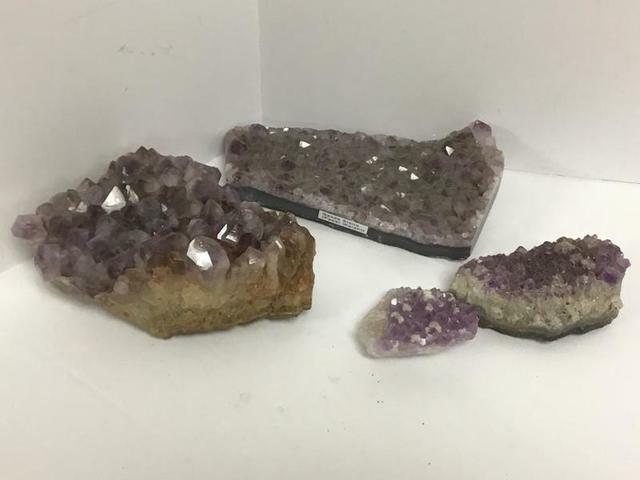 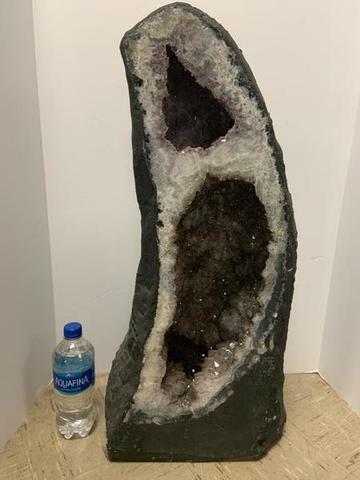 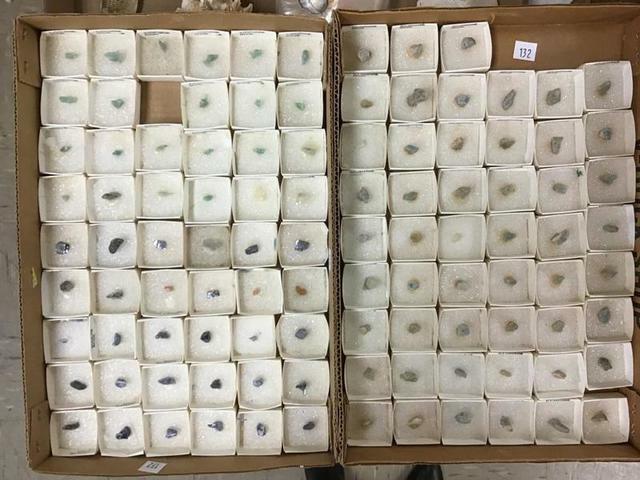 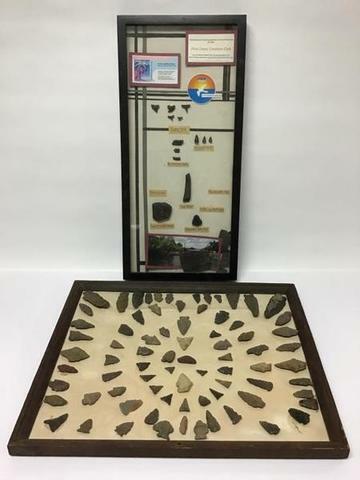 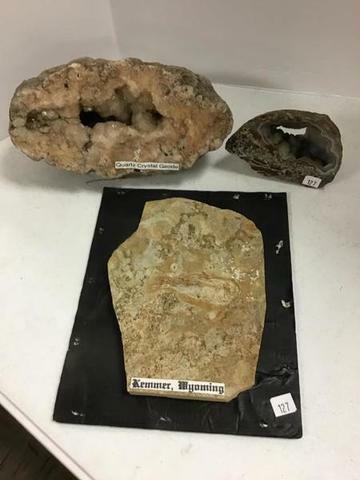 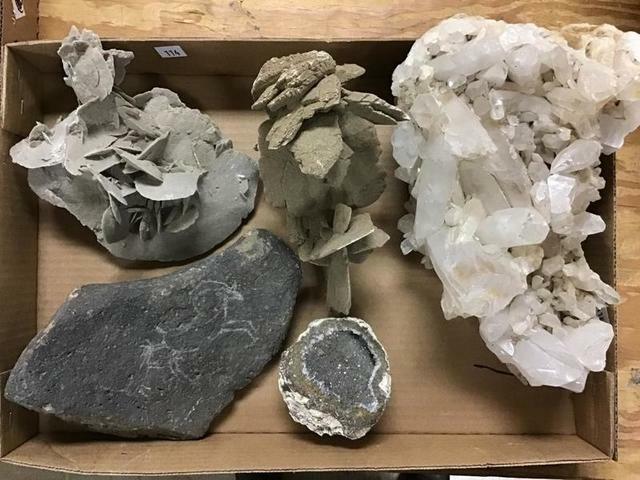 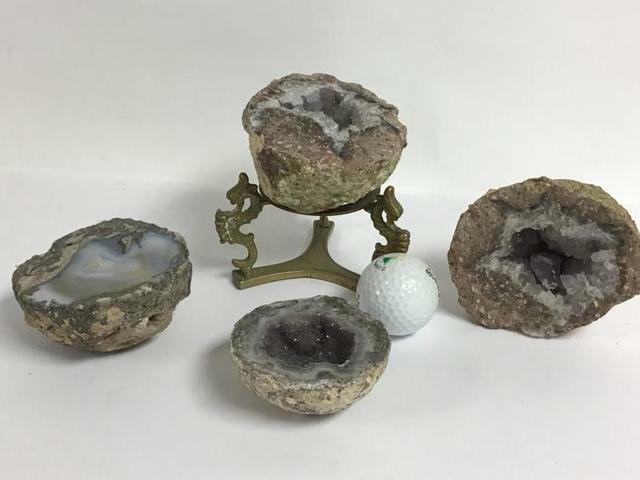 Geodes, fossils, crystals collection , Pyrite, petrified wood, minerals, stalagmite, gemstones, ancient whale vertebrae. 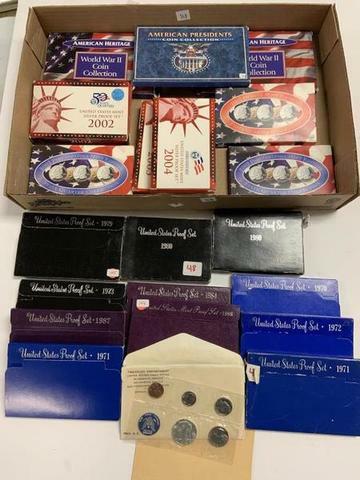 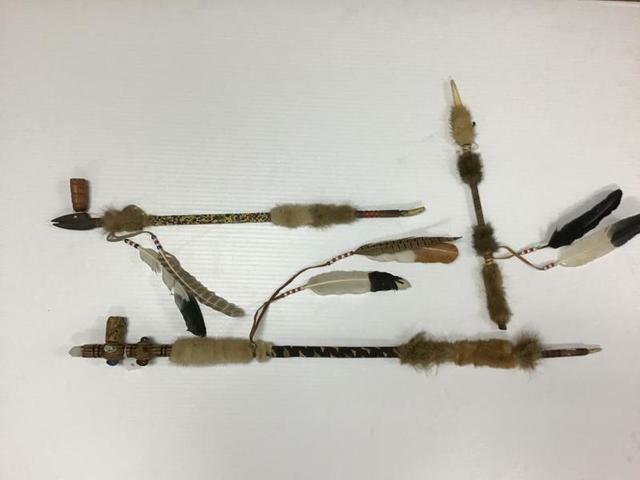 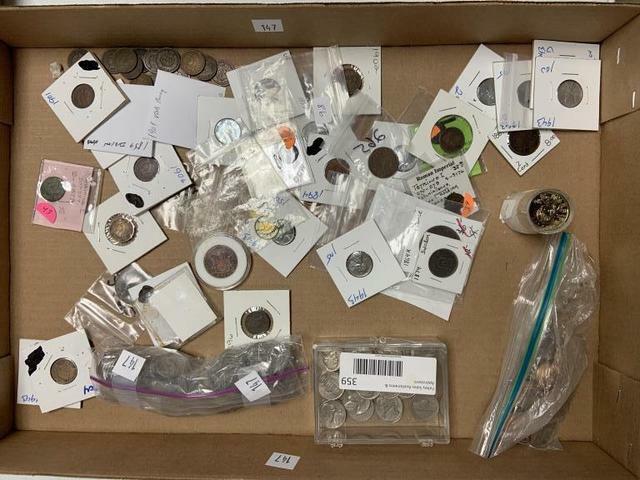 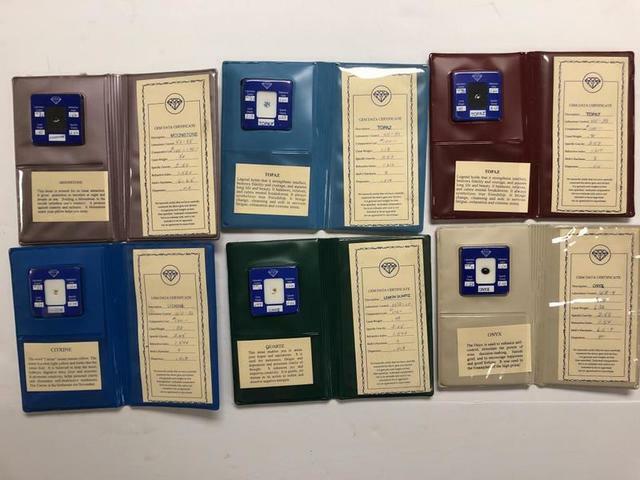 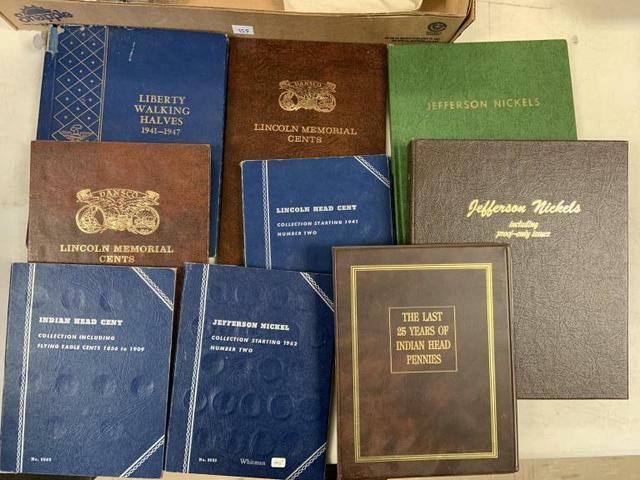 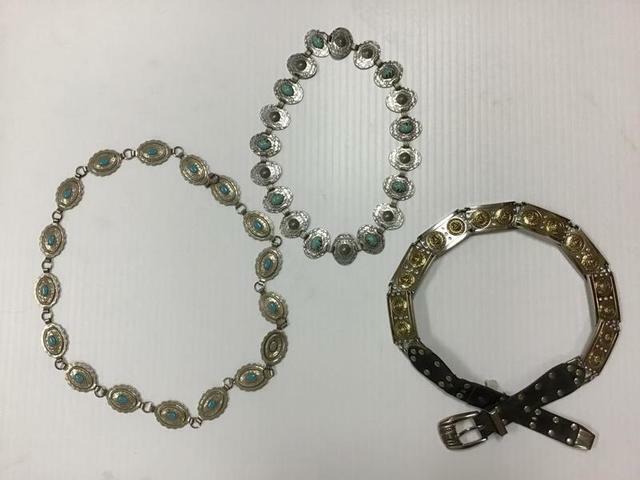 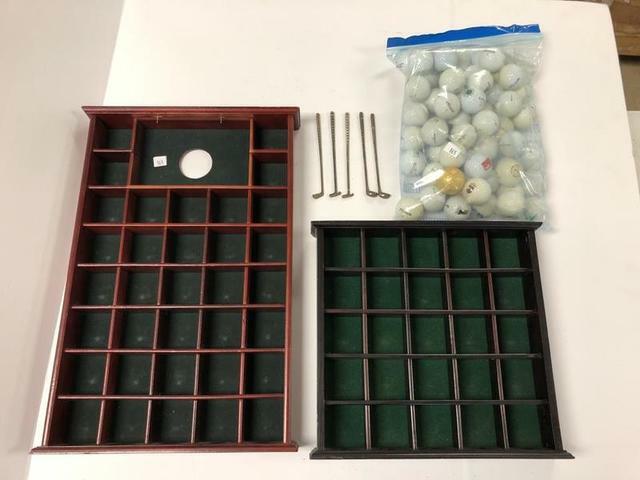 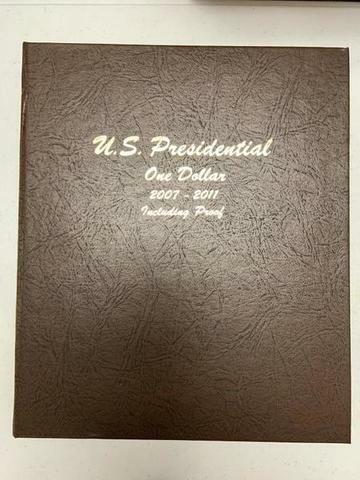 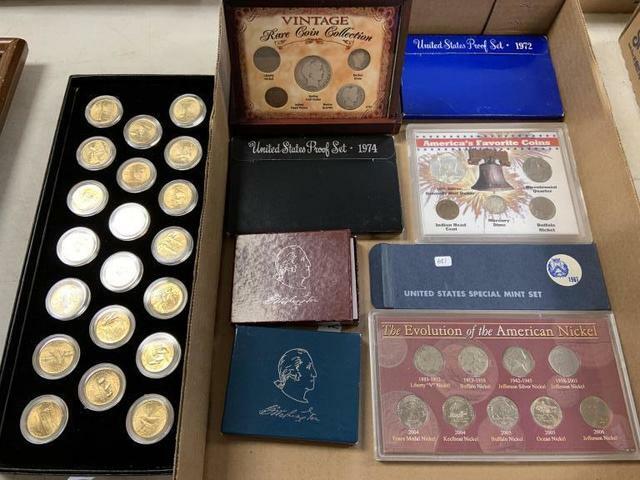 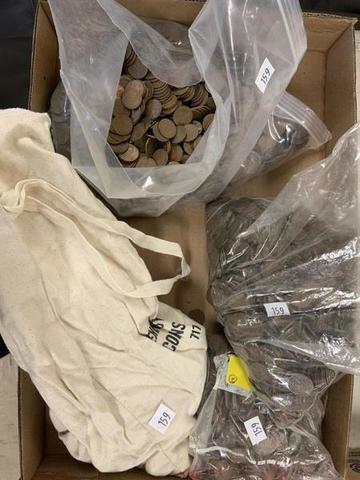 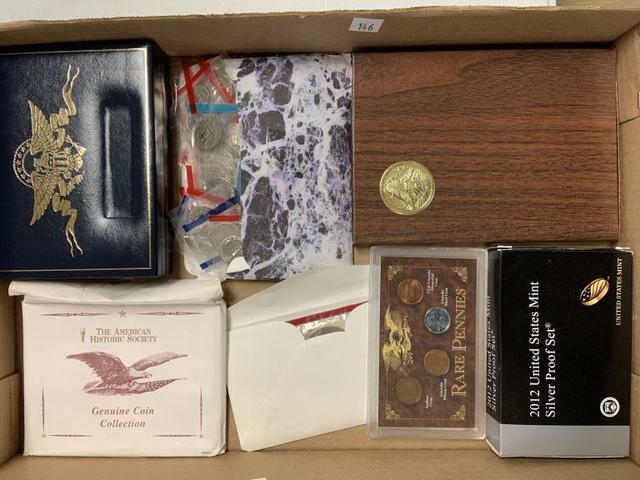 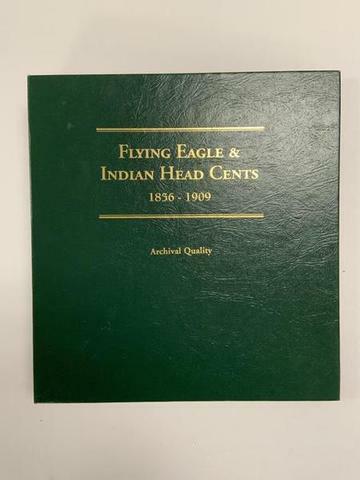 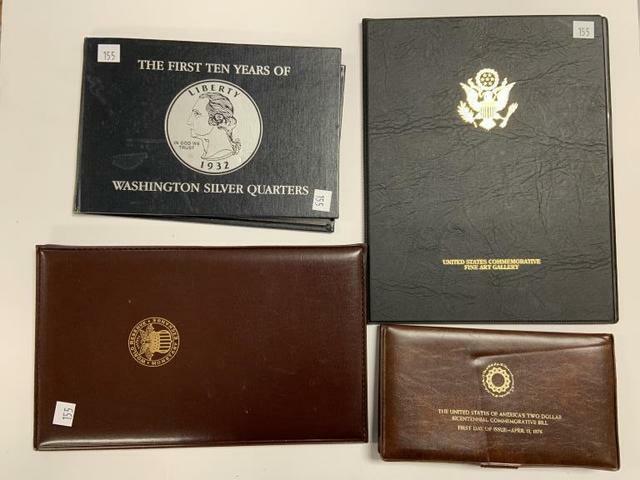 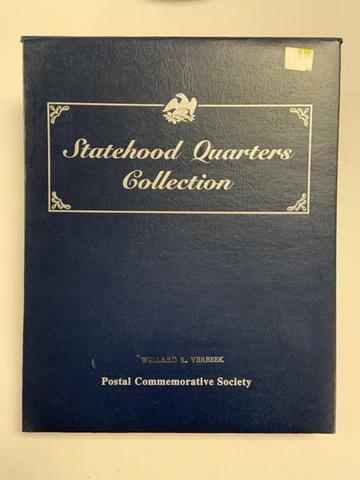 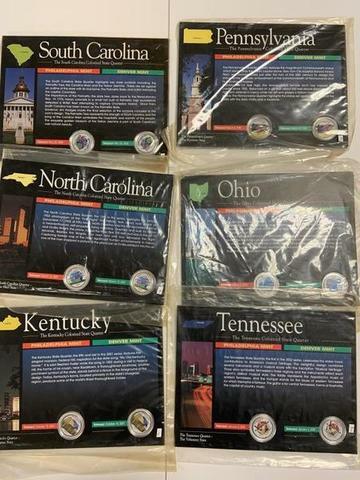 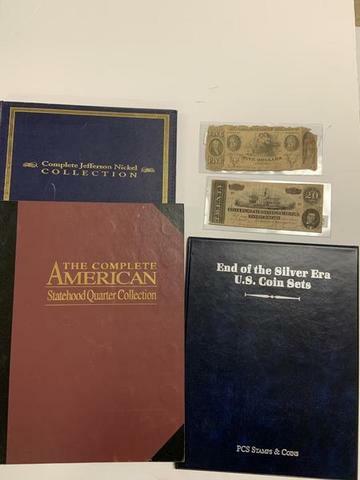 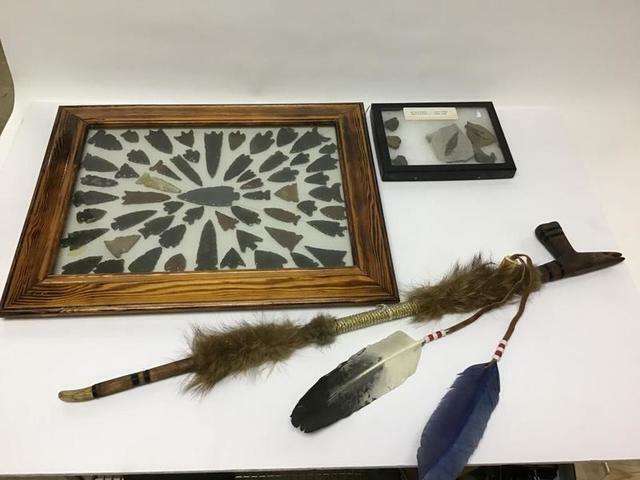 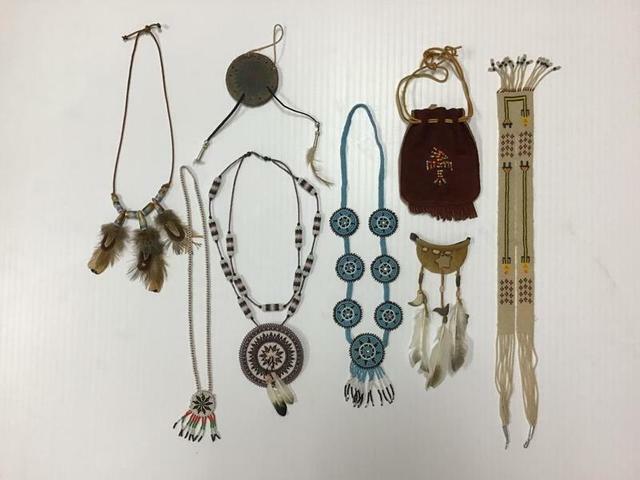 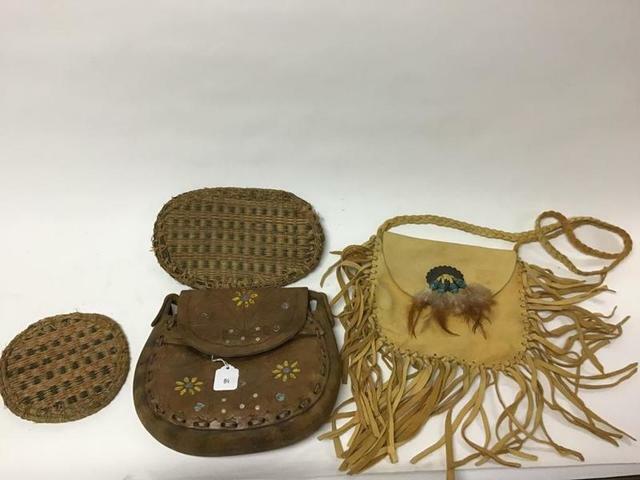 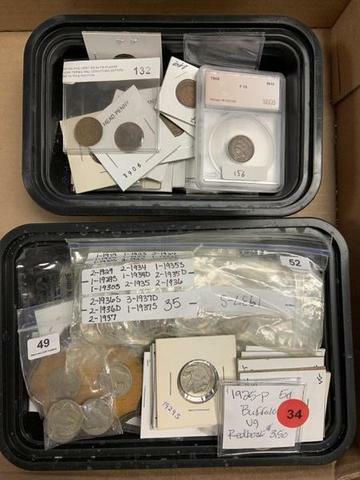 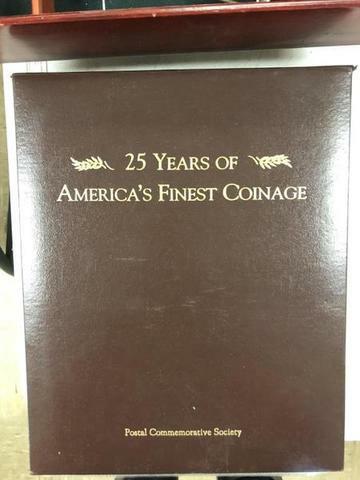 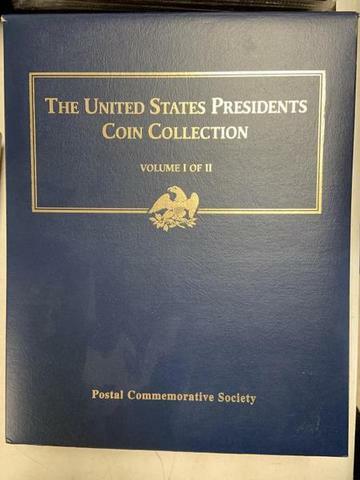 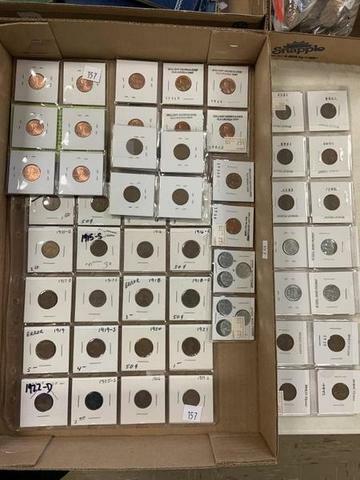 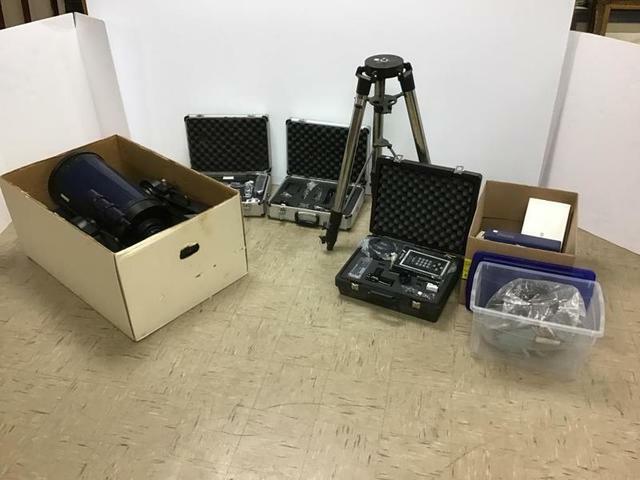 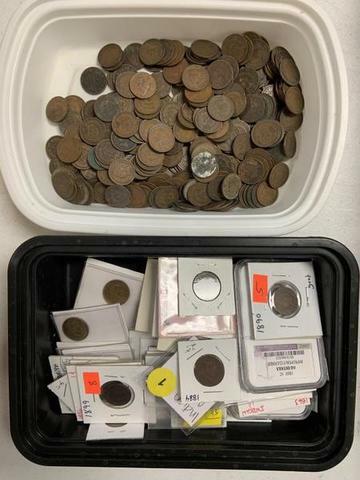 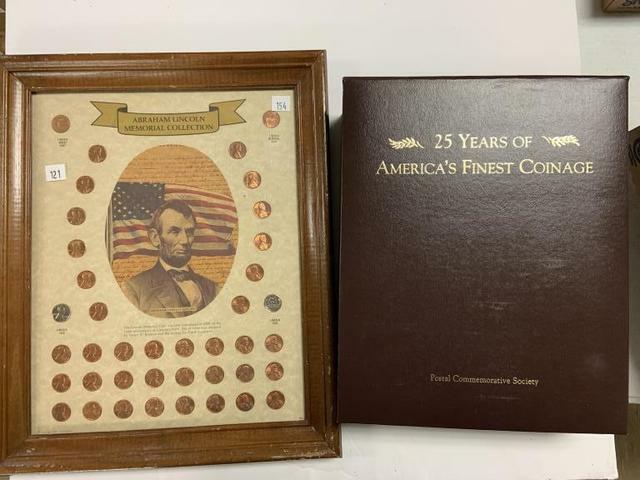 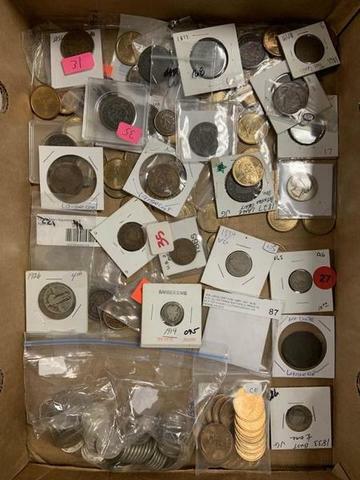 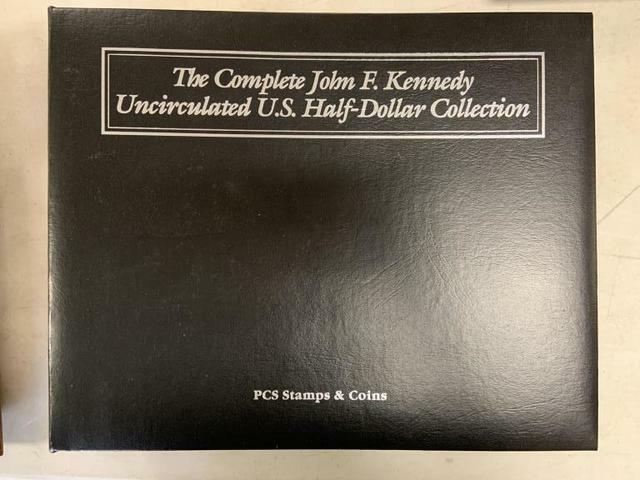 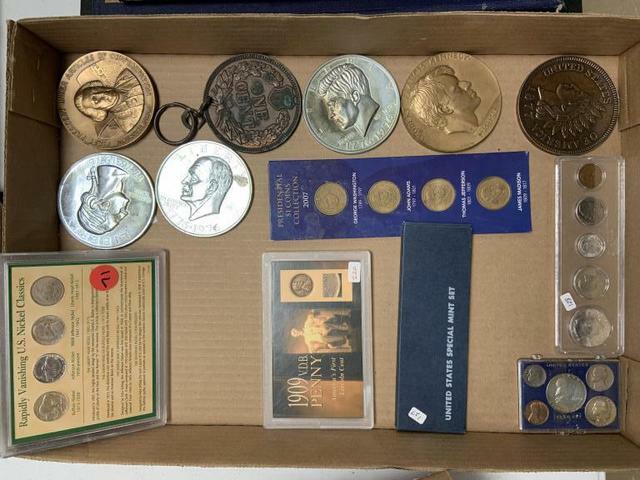 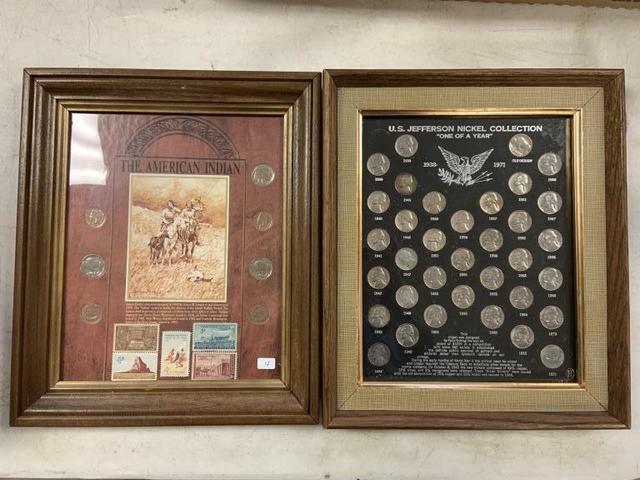 Coins include 1833 – 19th century, two 1865 two cent coins, 1850 braided hair coin, a 1914 silver barber dime and several modern one dollar coins, U. S. Mint Silver proof set, rare pennies, buffalo nickels, uncirculated coins from 1977, American Indian collectibles, modern quarters and an Eisenhower silver dollar, 19th c. through modern nickels, 1979-80’s Proof Sets.